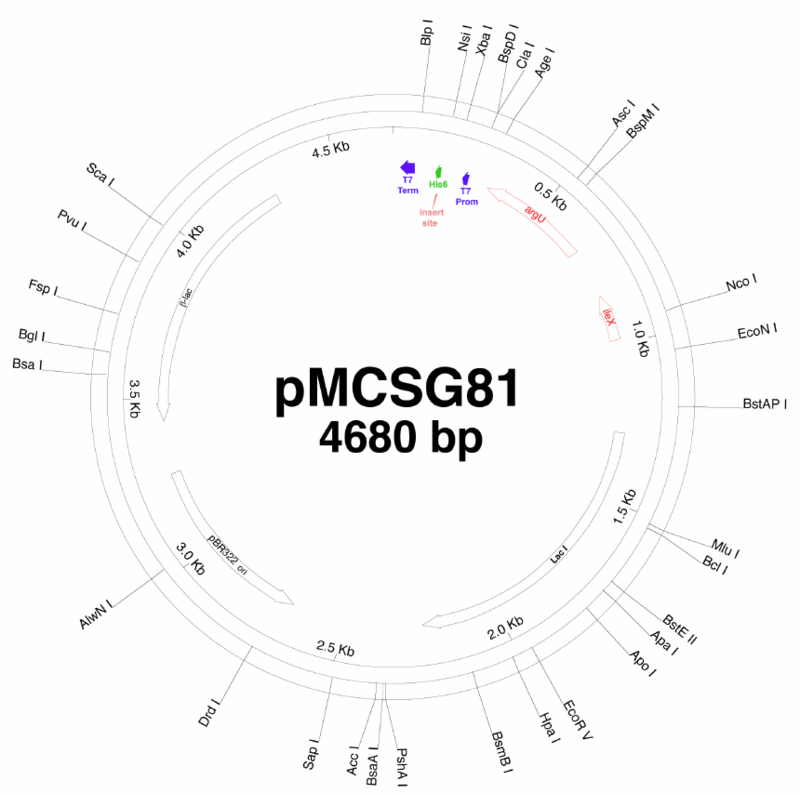 These vectors are available from DNASU: http://dnasu.asu.edu/DNASU/GetAllVectors.do?PSI=true. 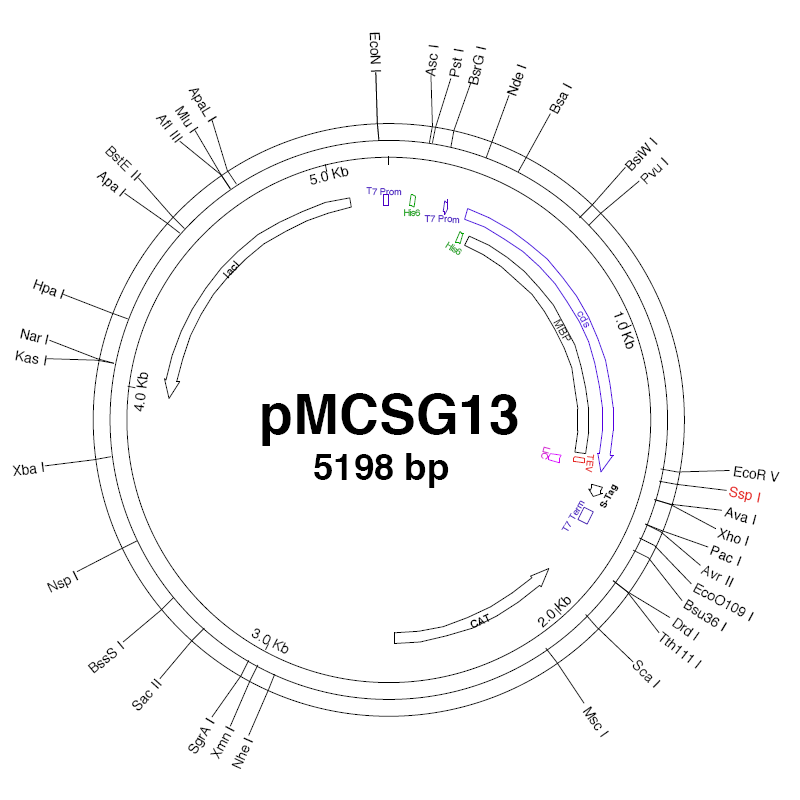 The vector summary is availble in PDF format. 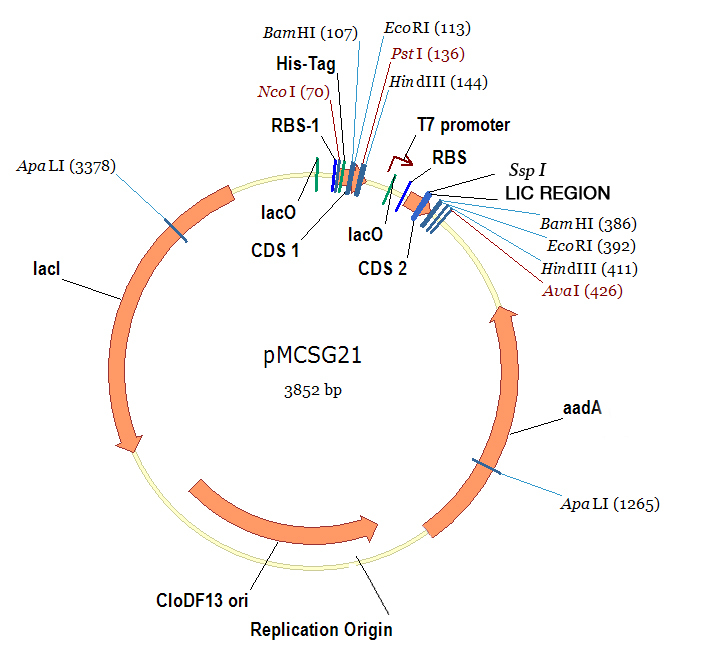 Structural definition of the F-actin-binding THATCH domain from HIP1R. 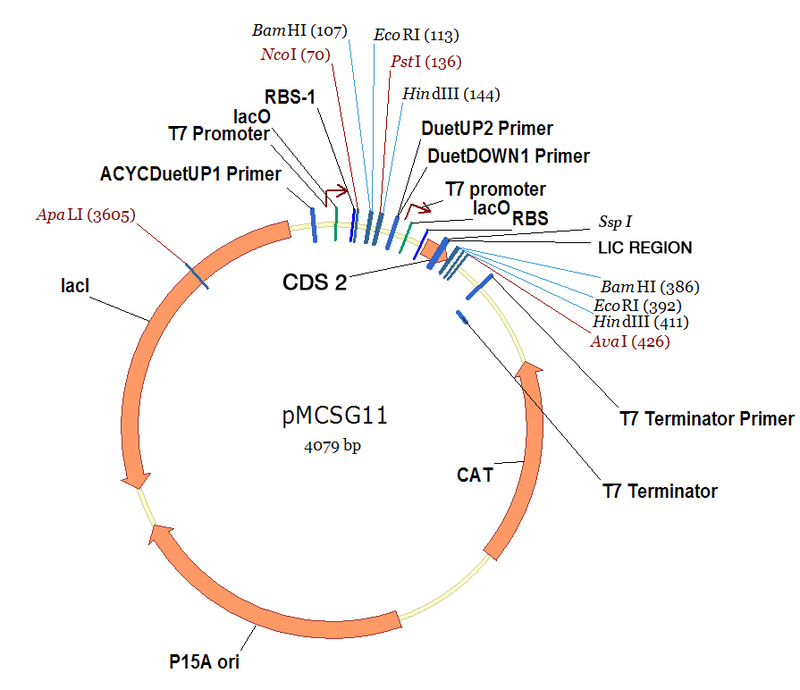 High throughput methods for gene cloning and expression. 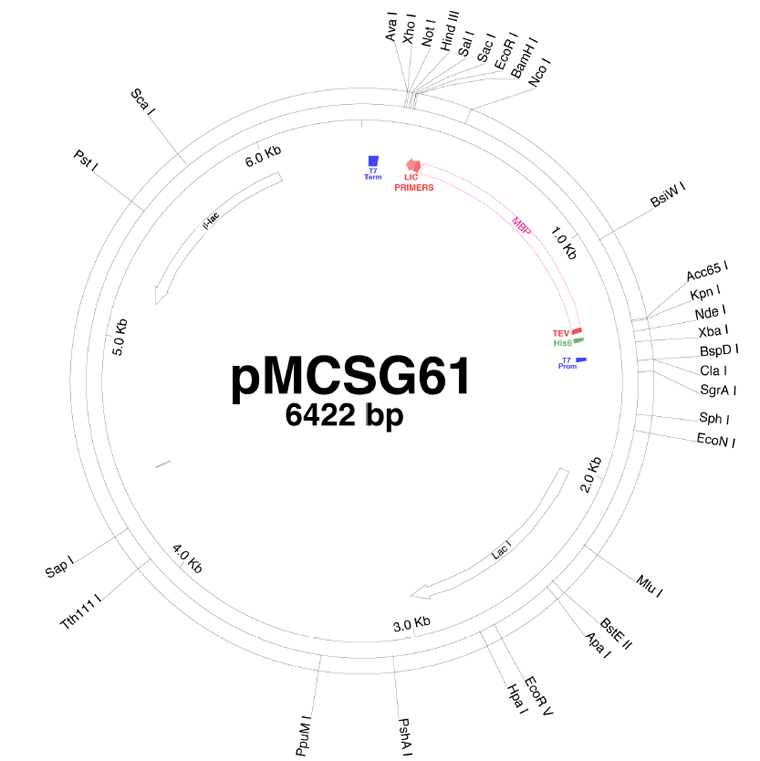 An expression vector tailored for large-scale, high-throughput purification of recombinant proteins. 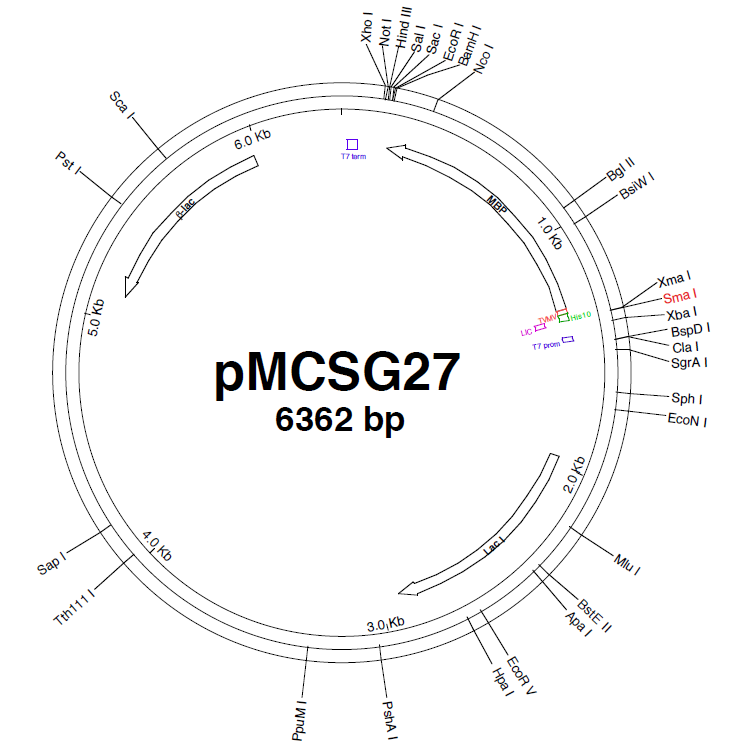 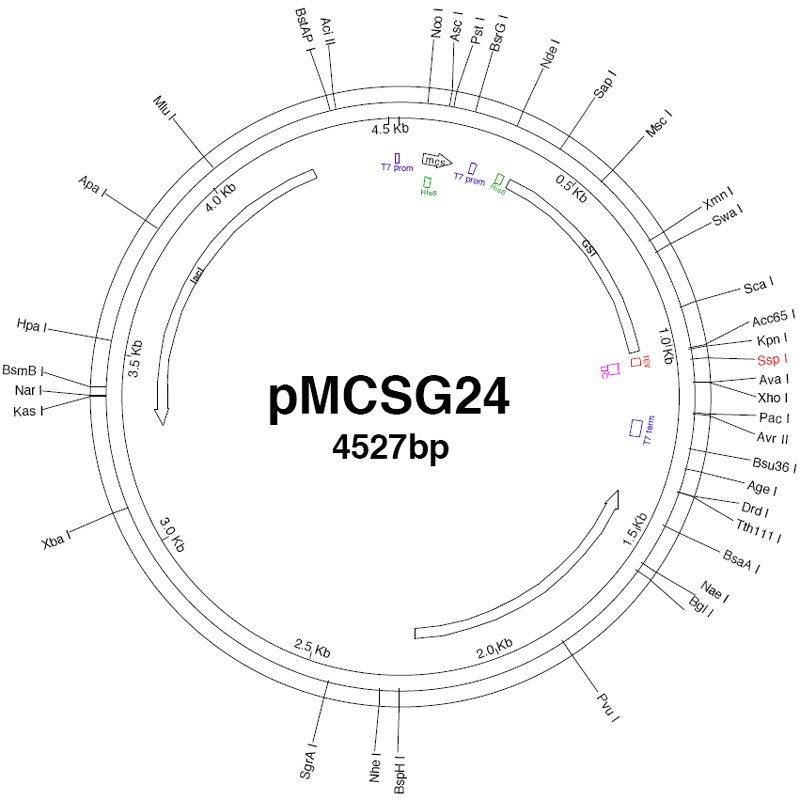 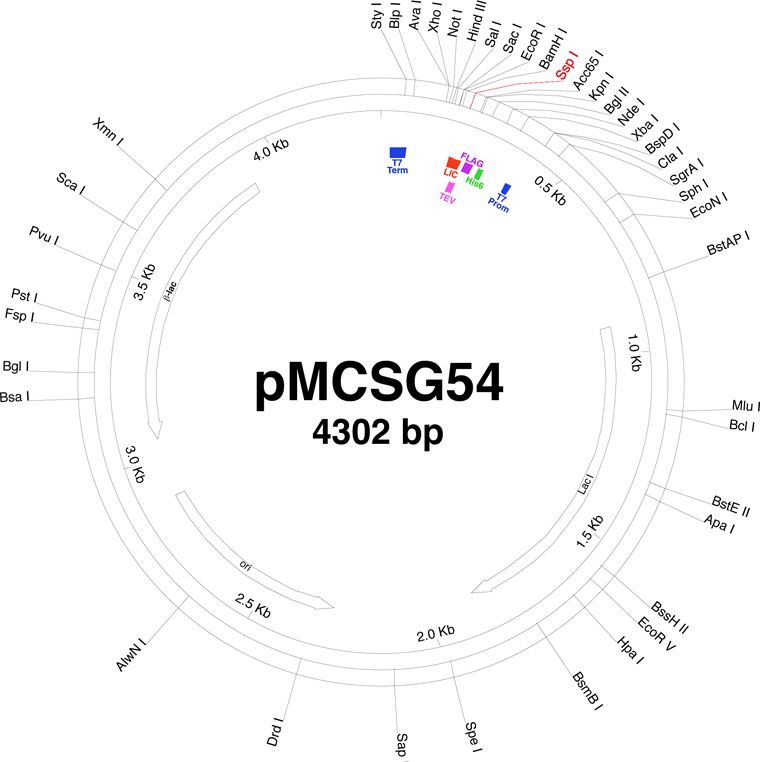 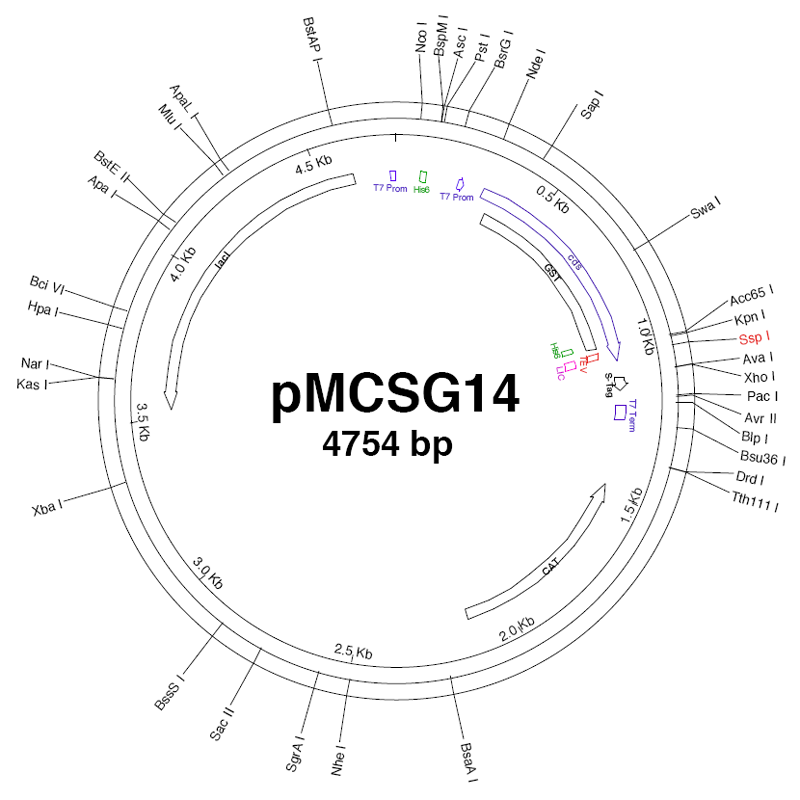 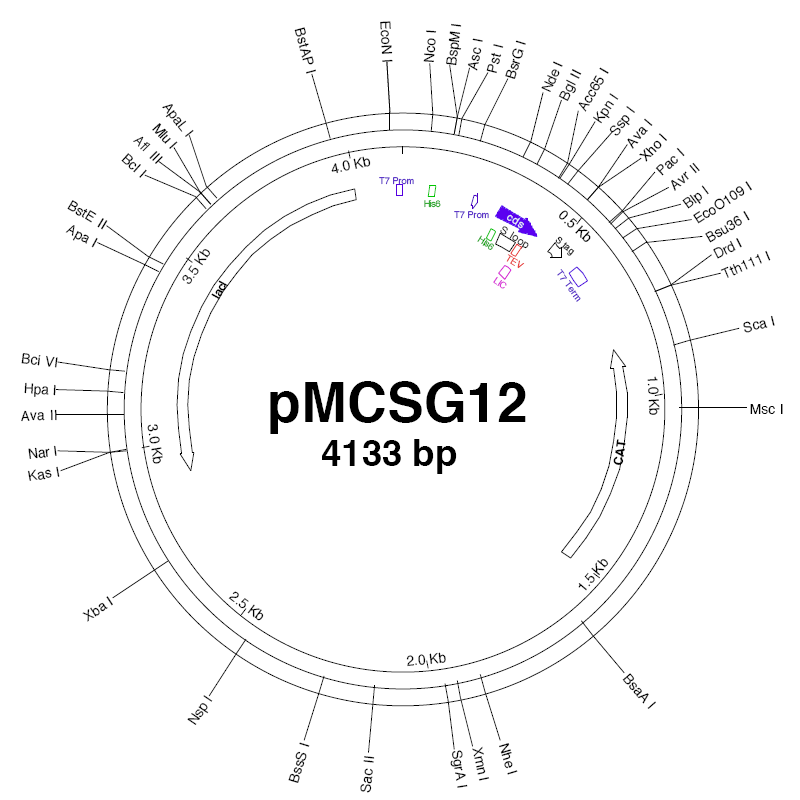 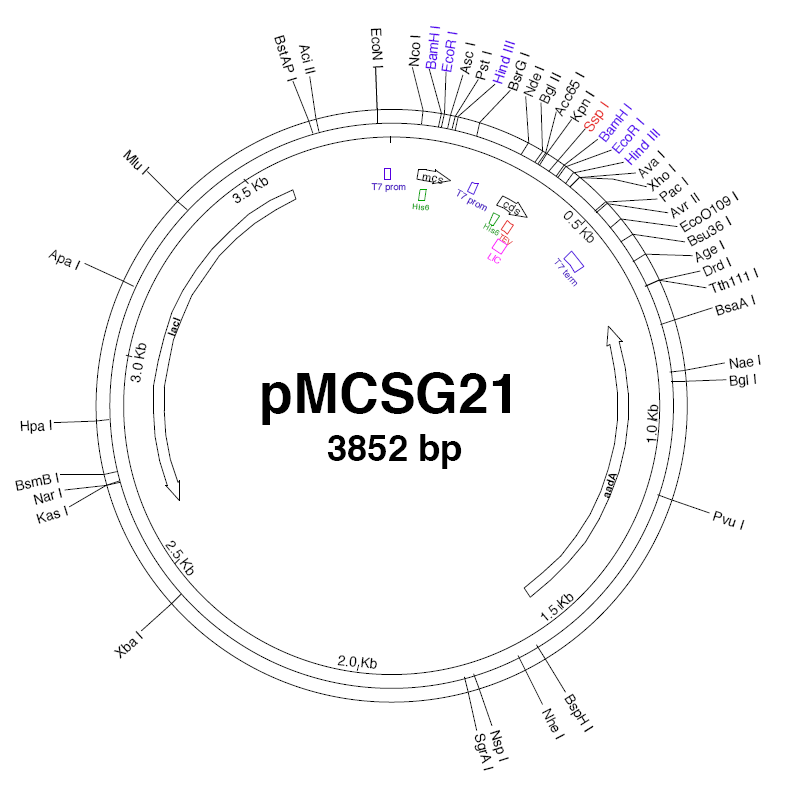 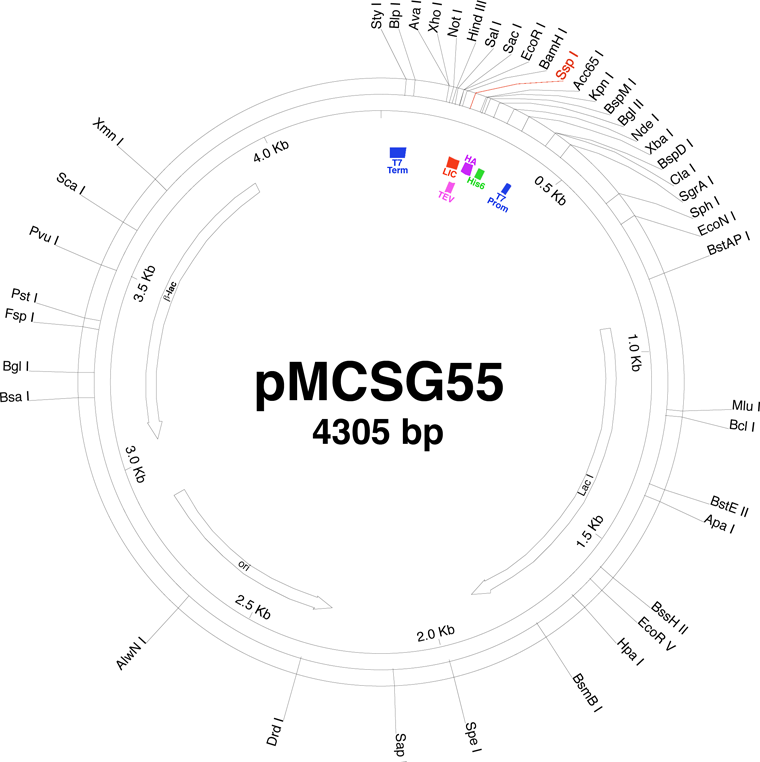 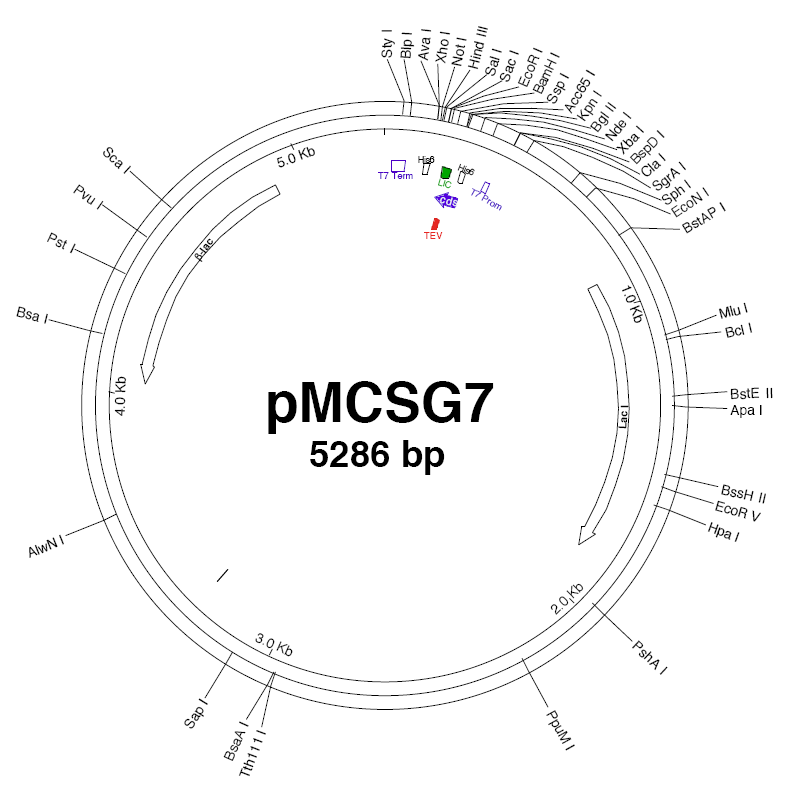 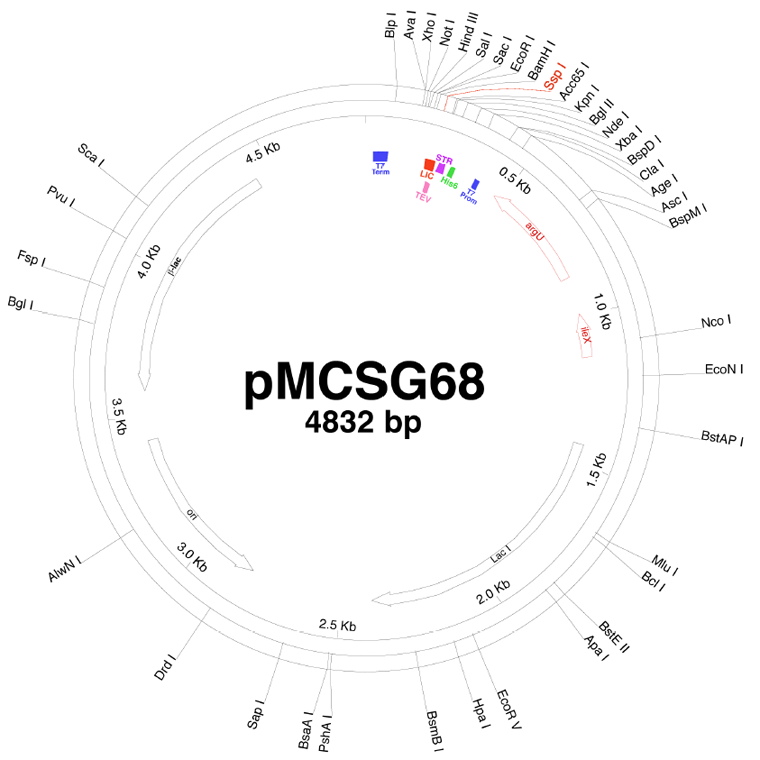 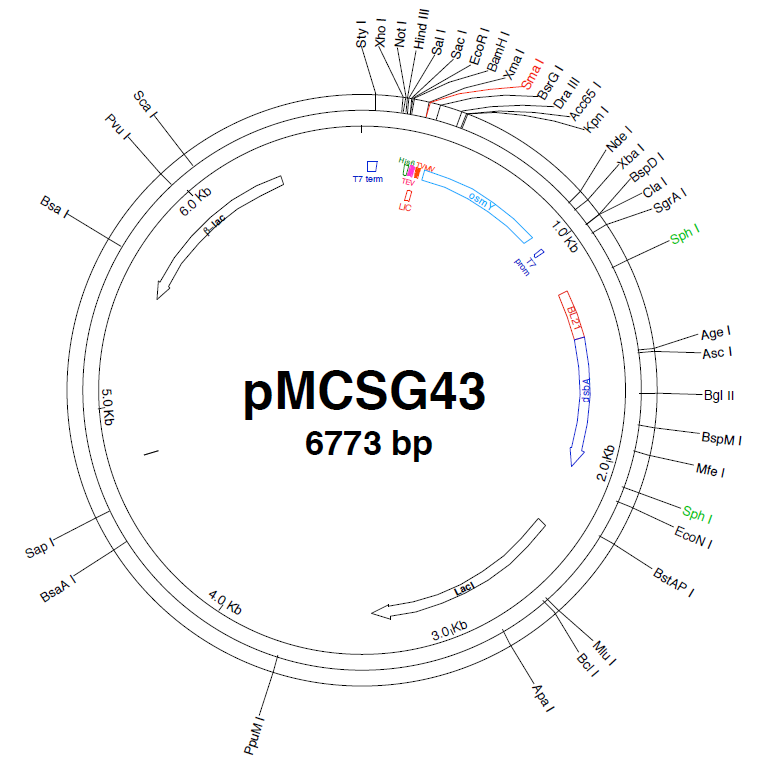 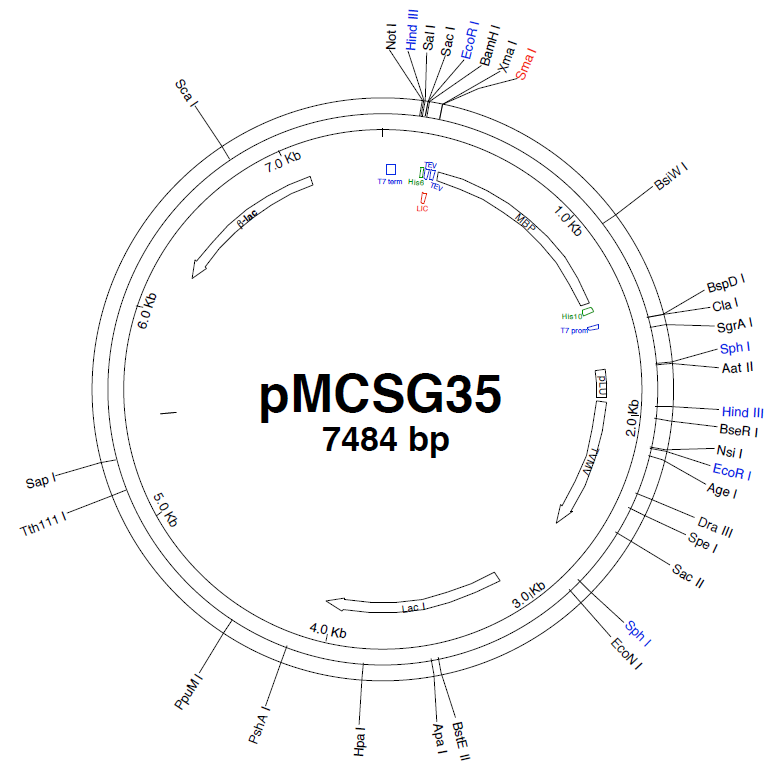 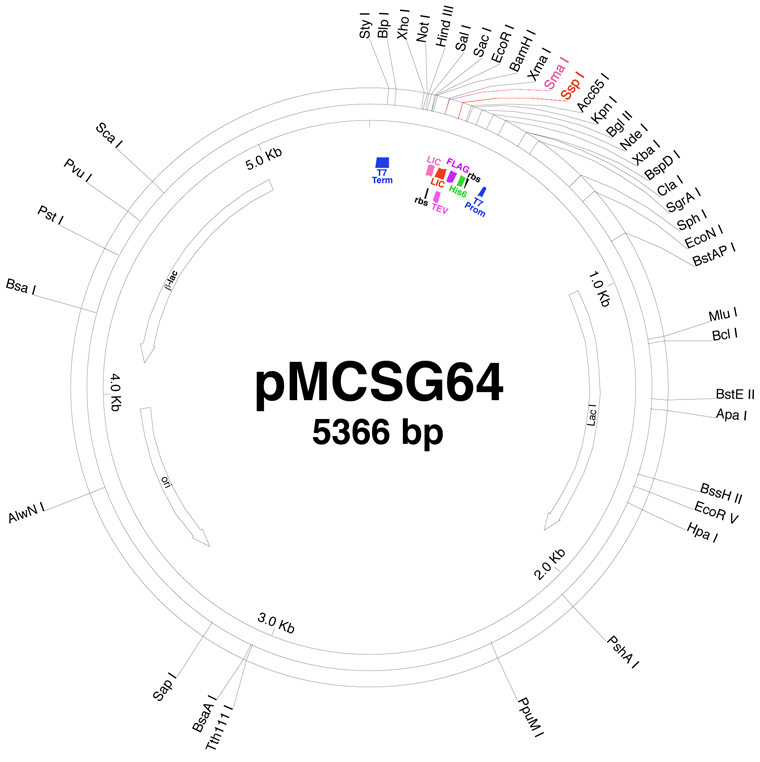 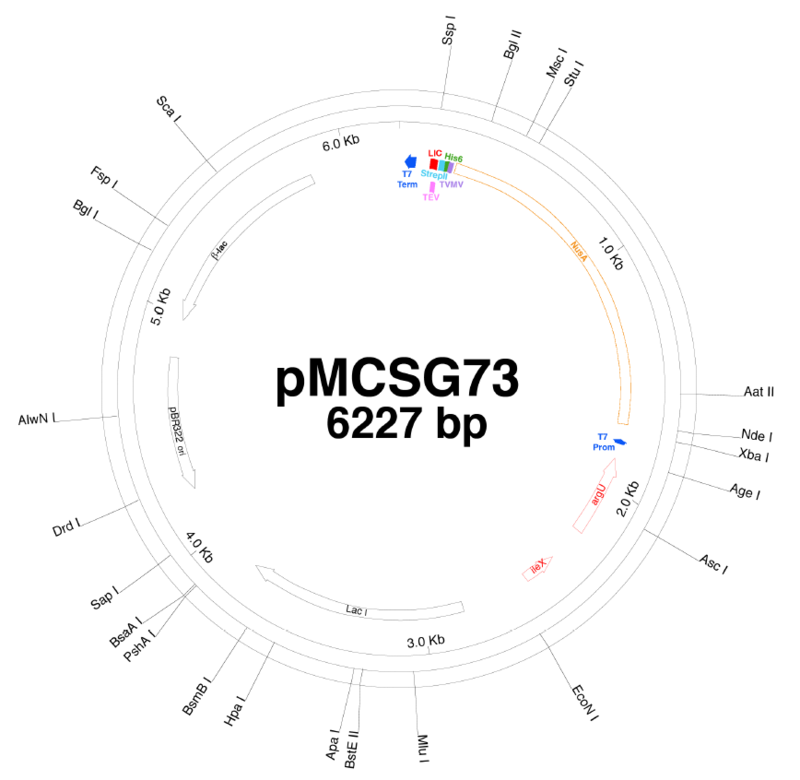 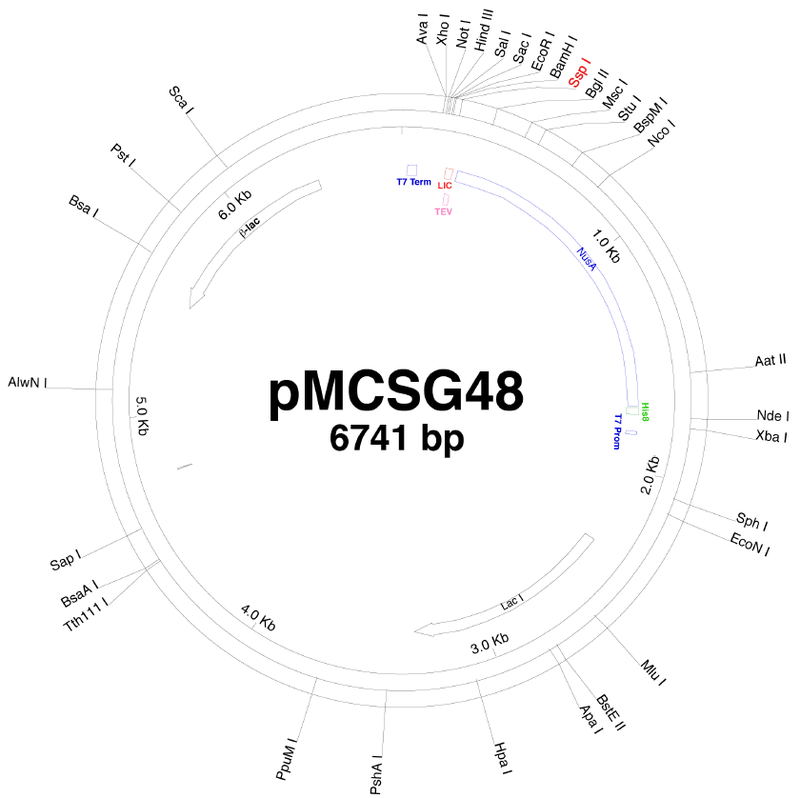 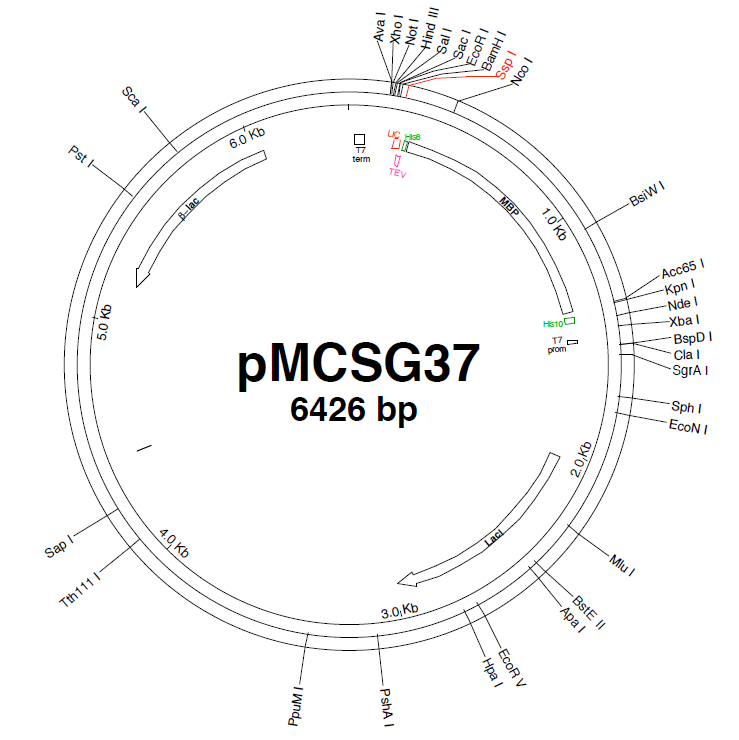 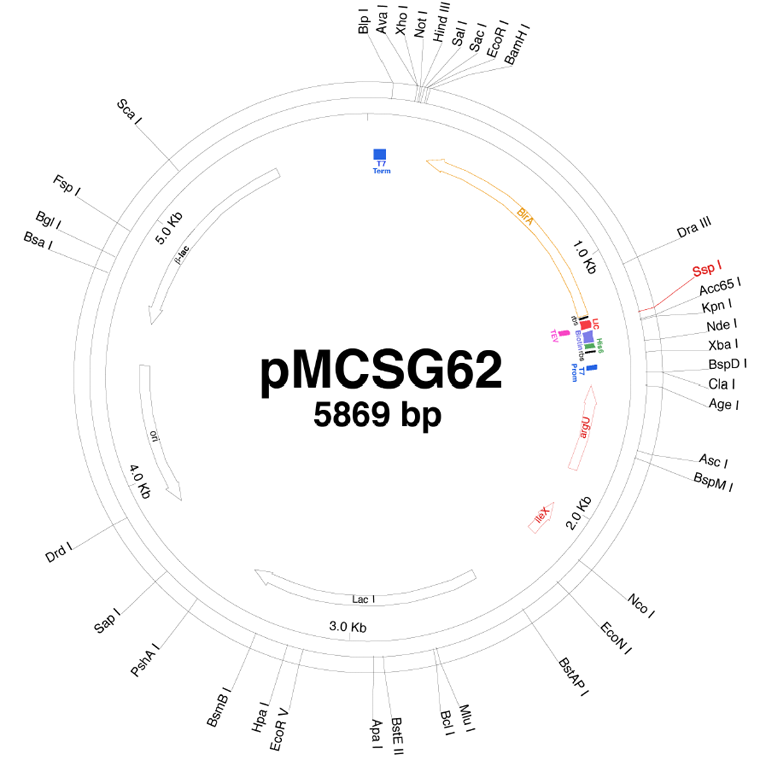 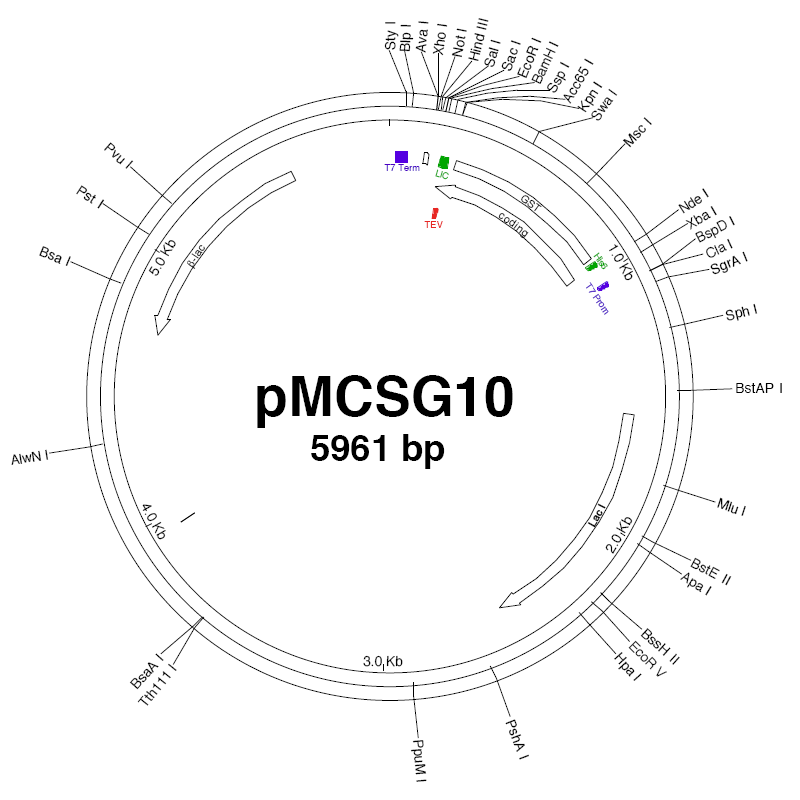 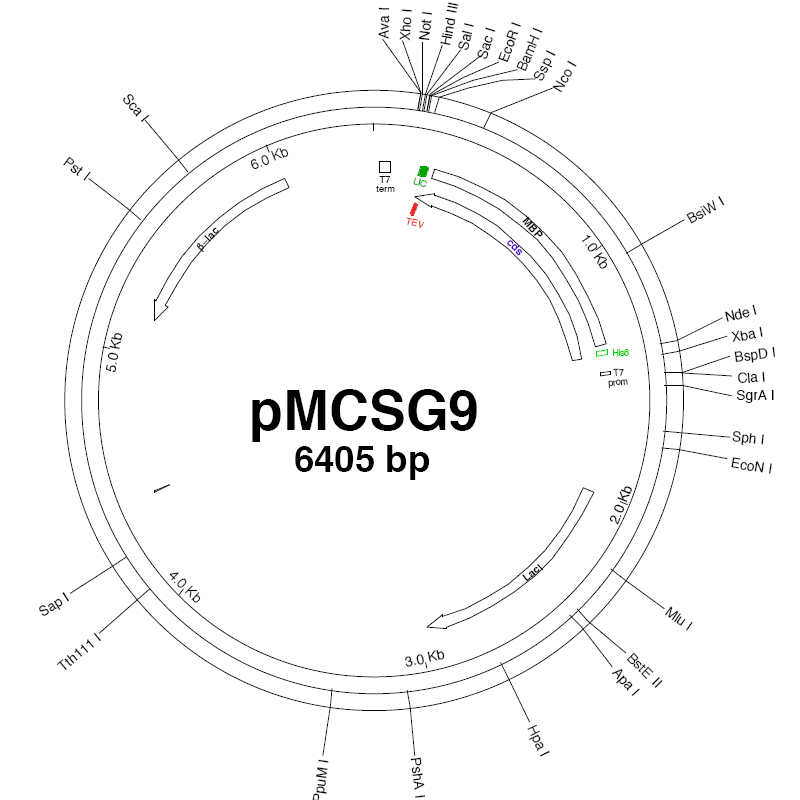 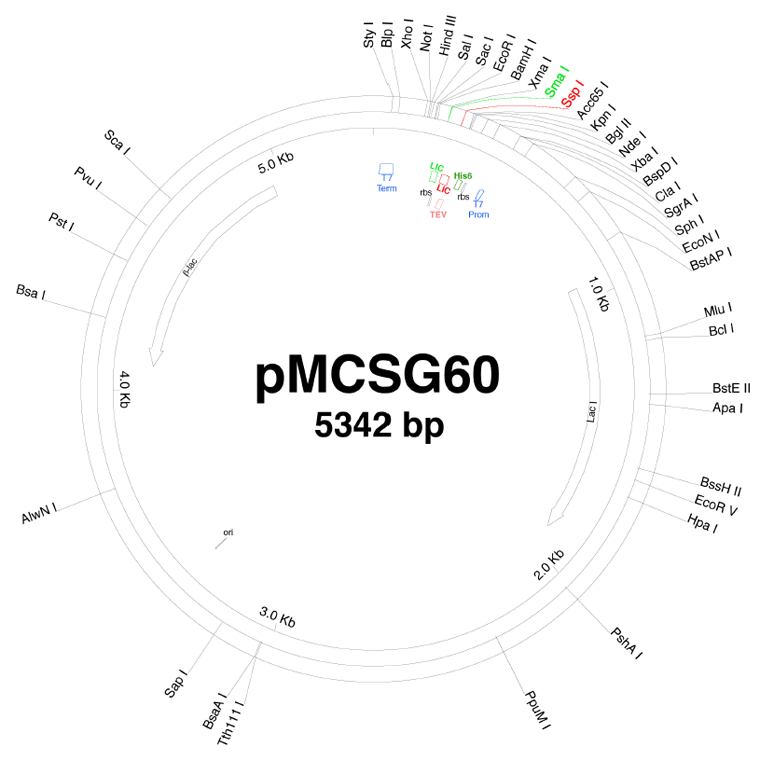 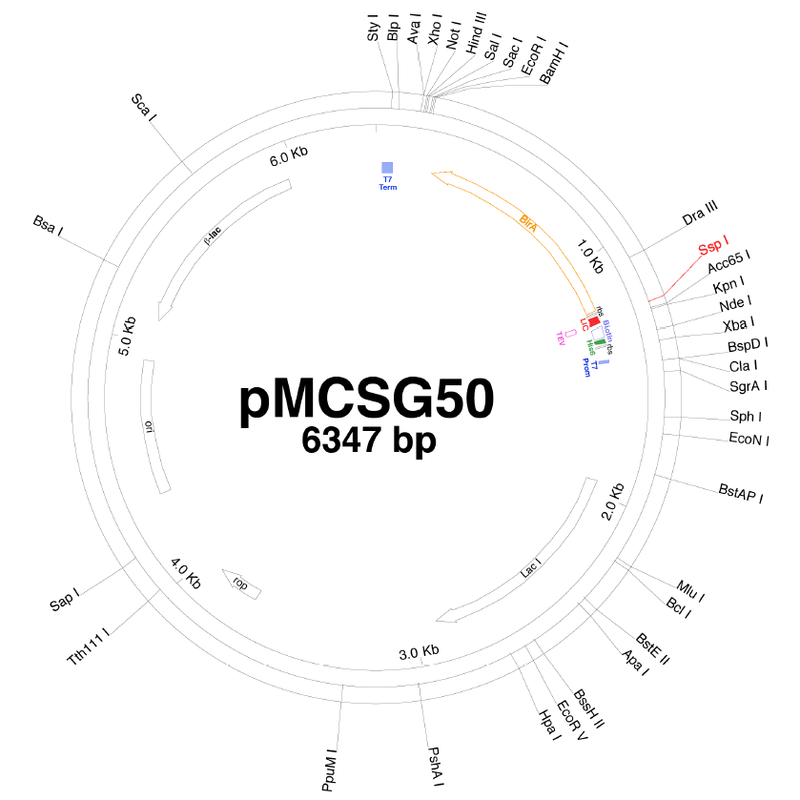 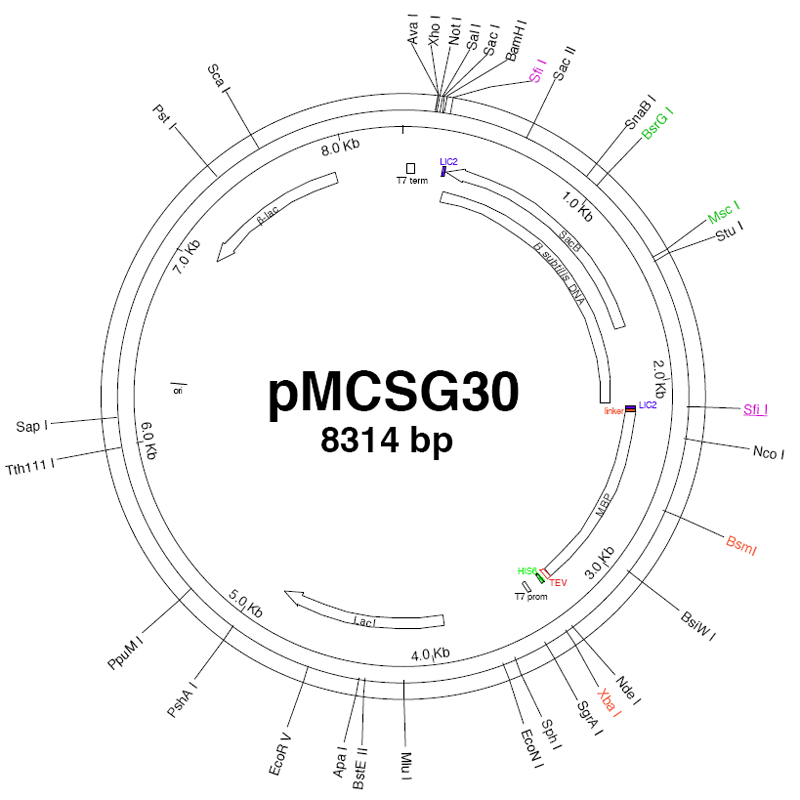 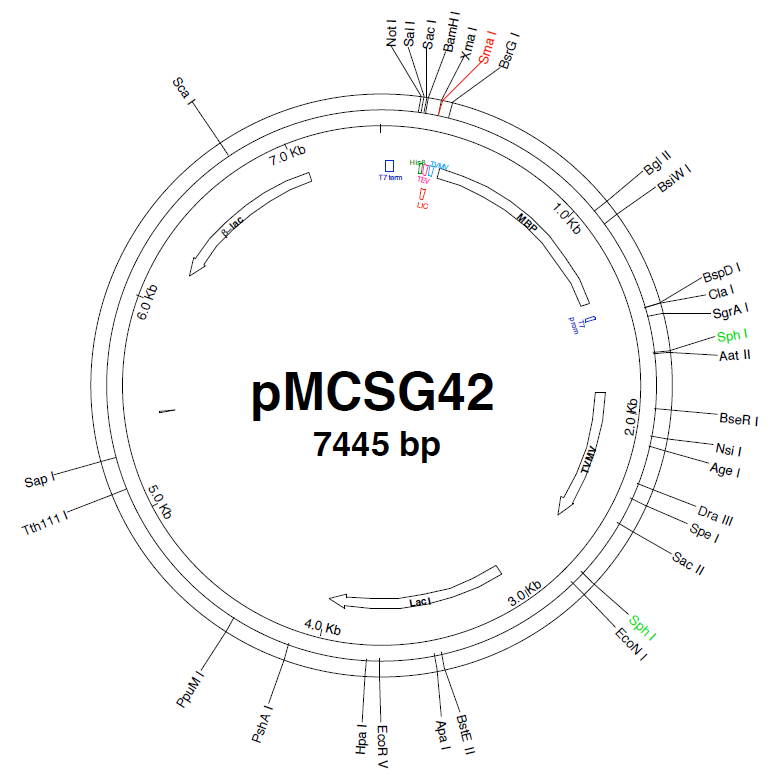 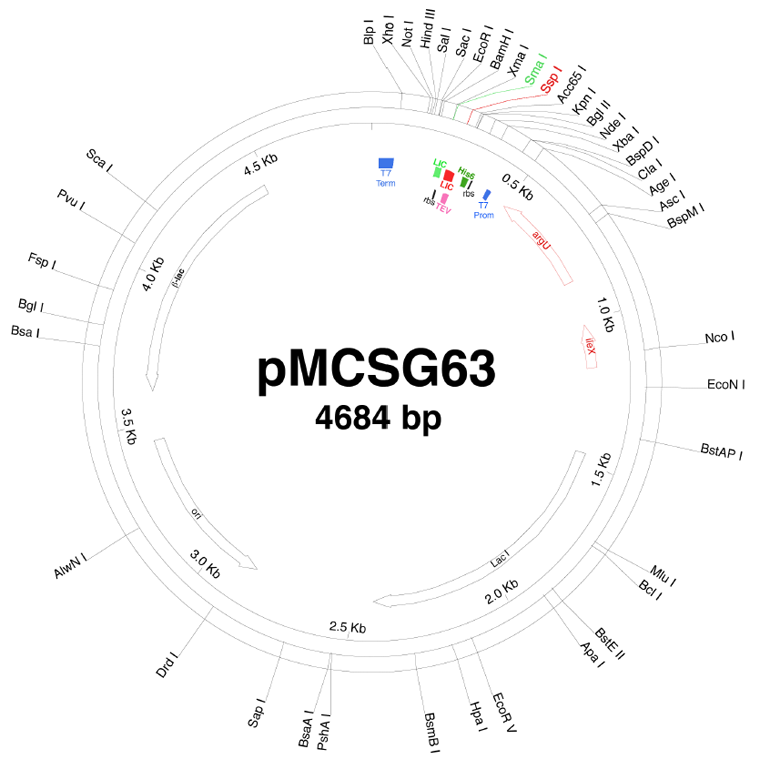 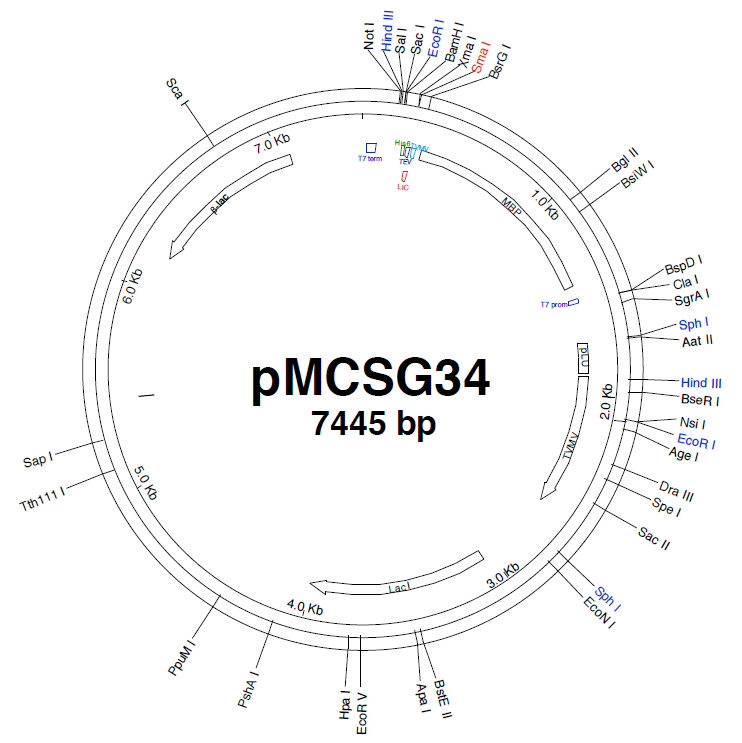 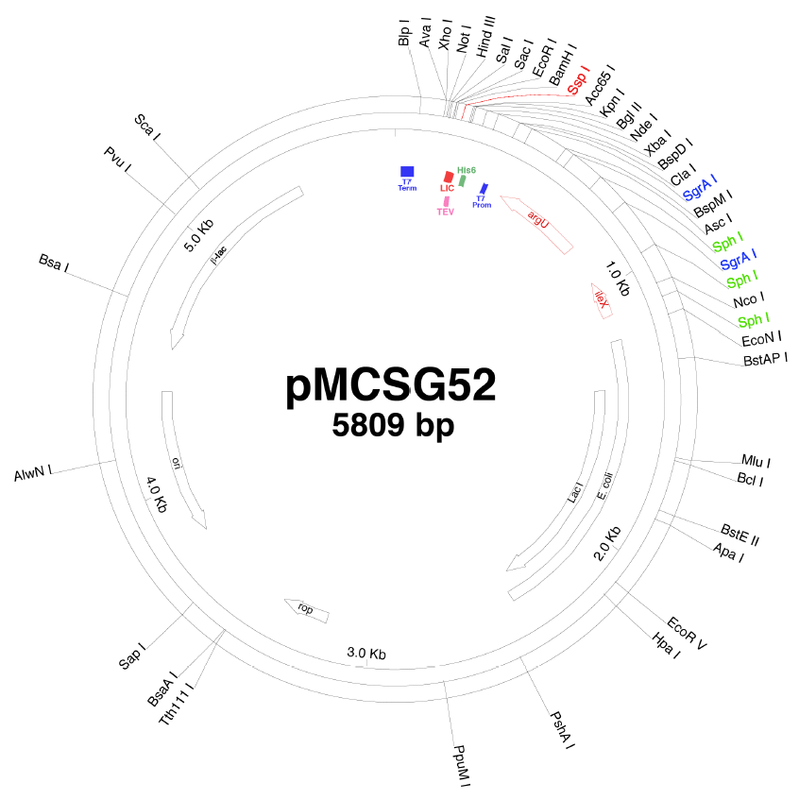 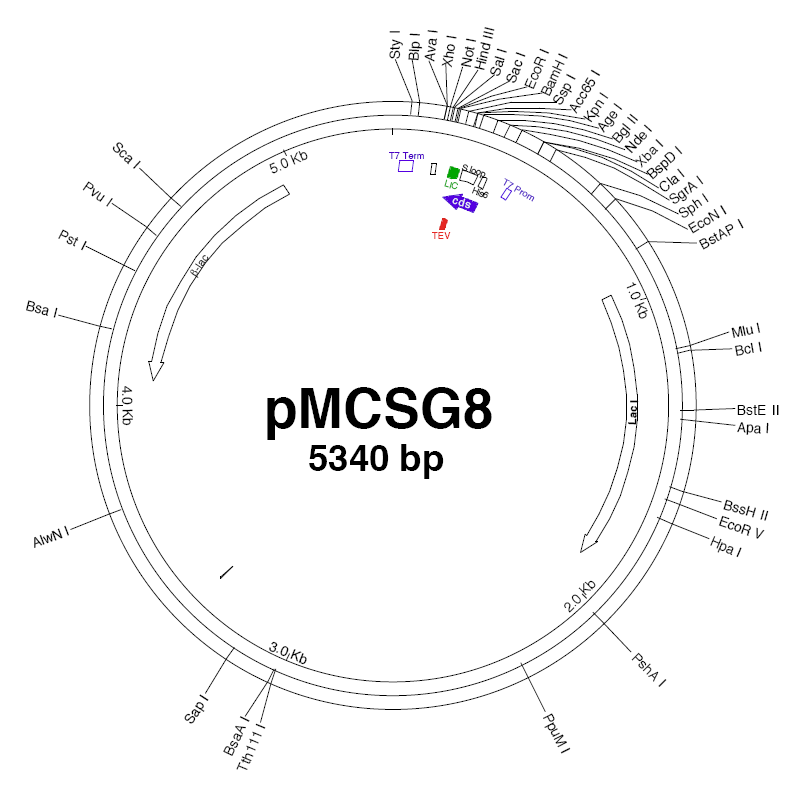 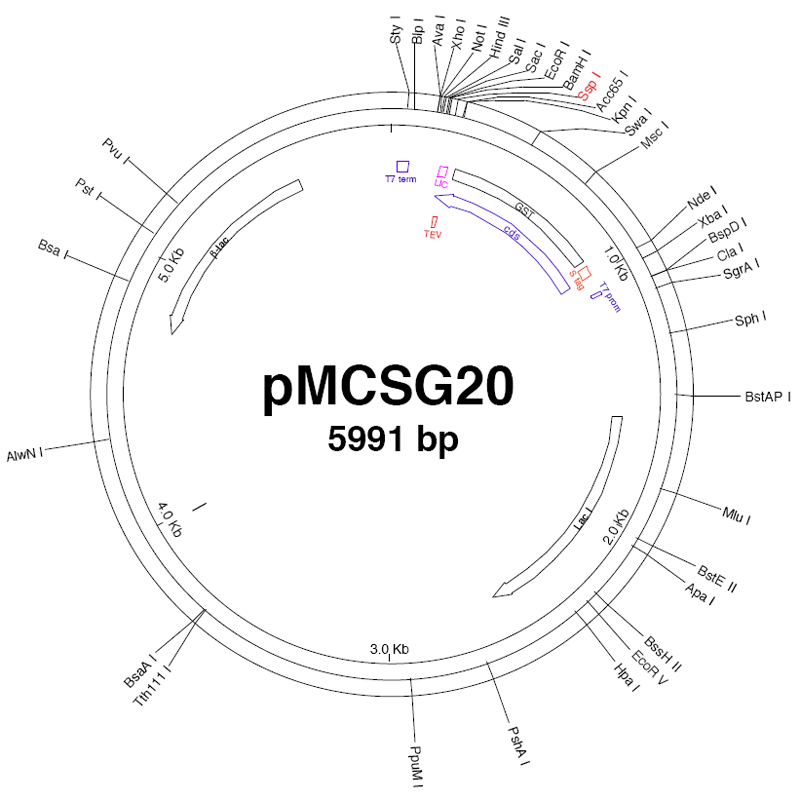 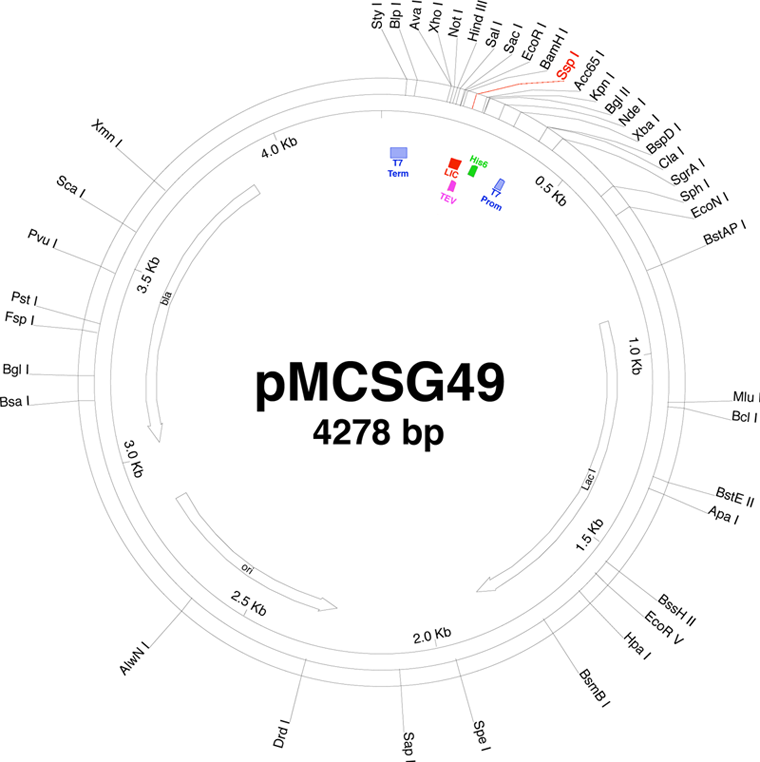 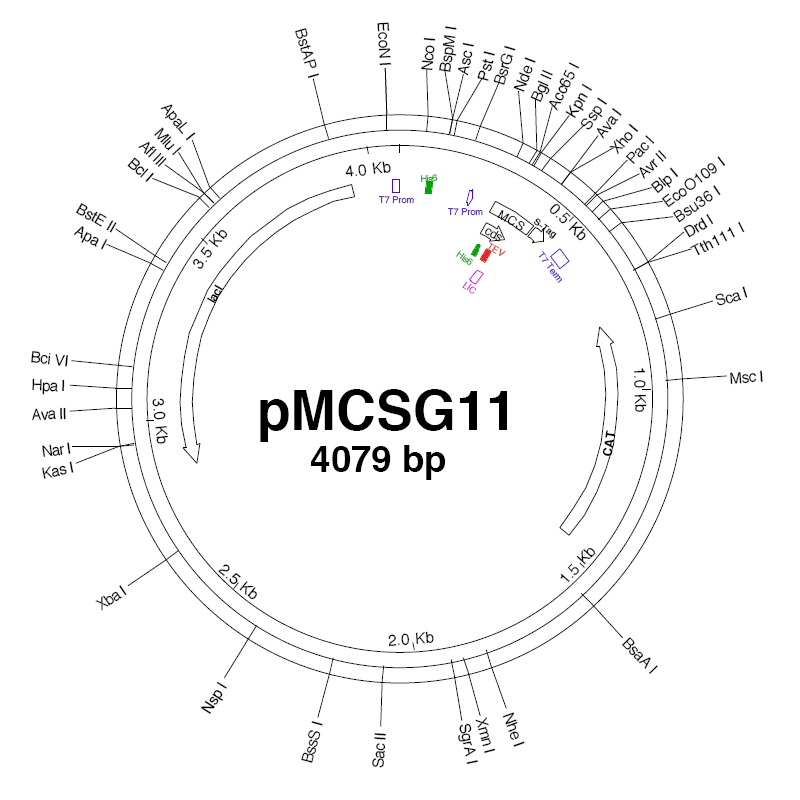 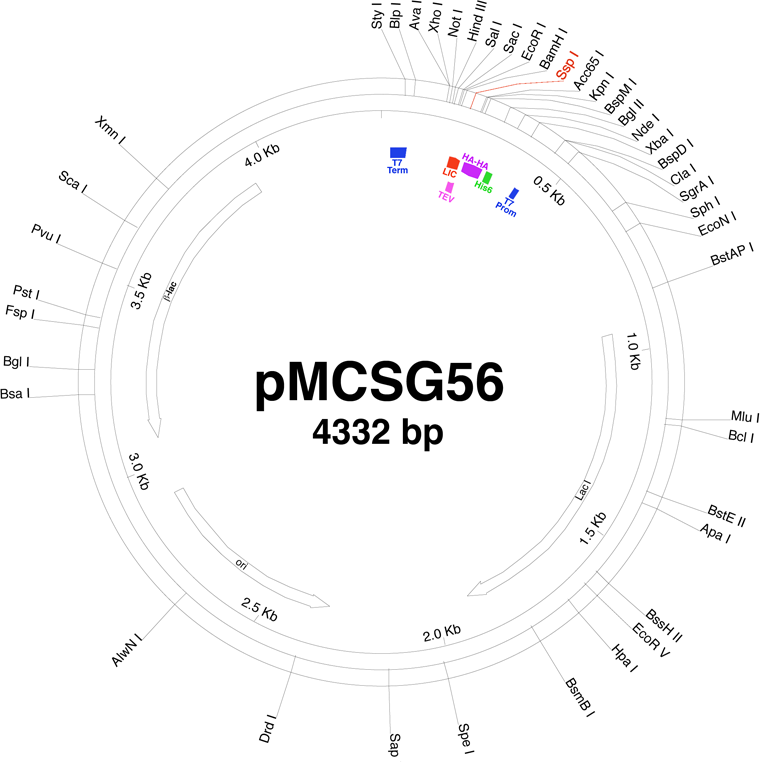 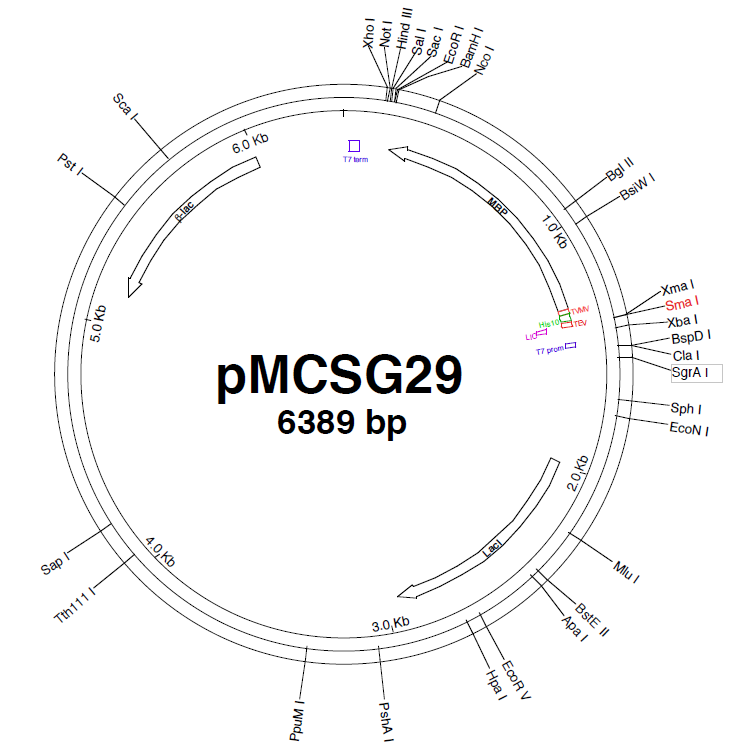 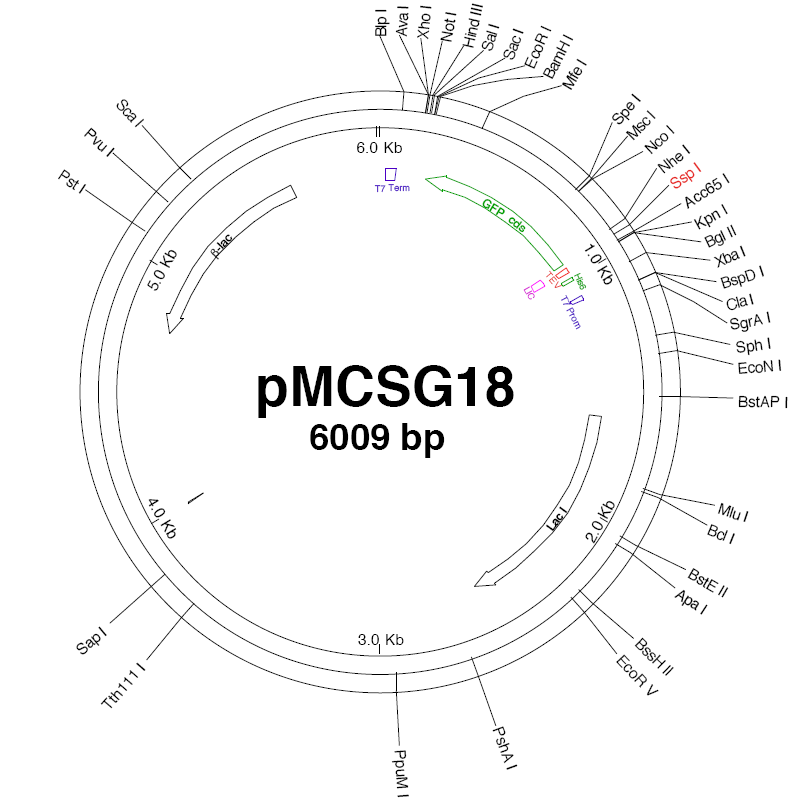 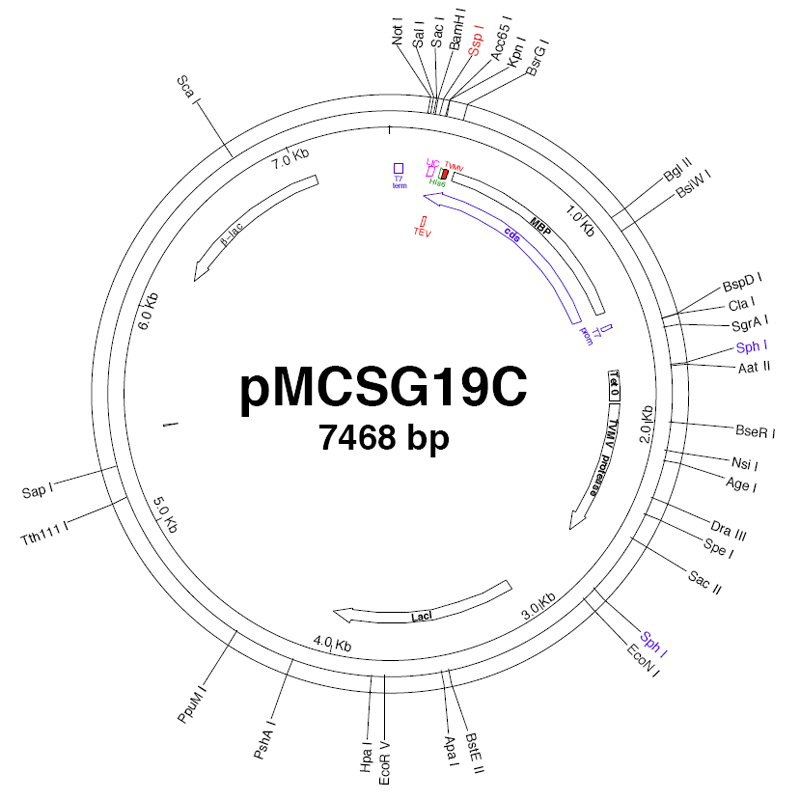 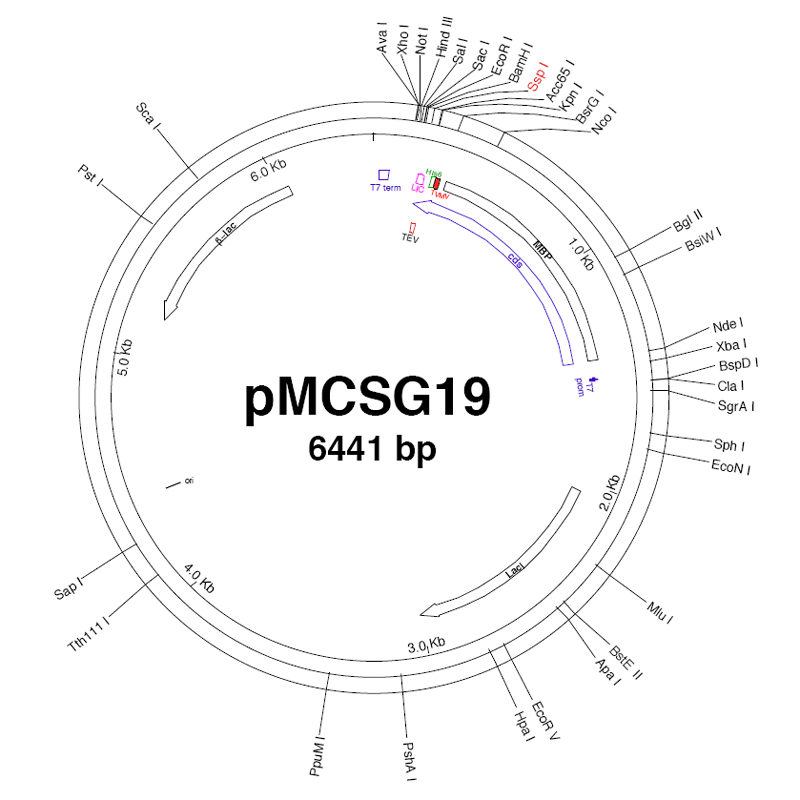 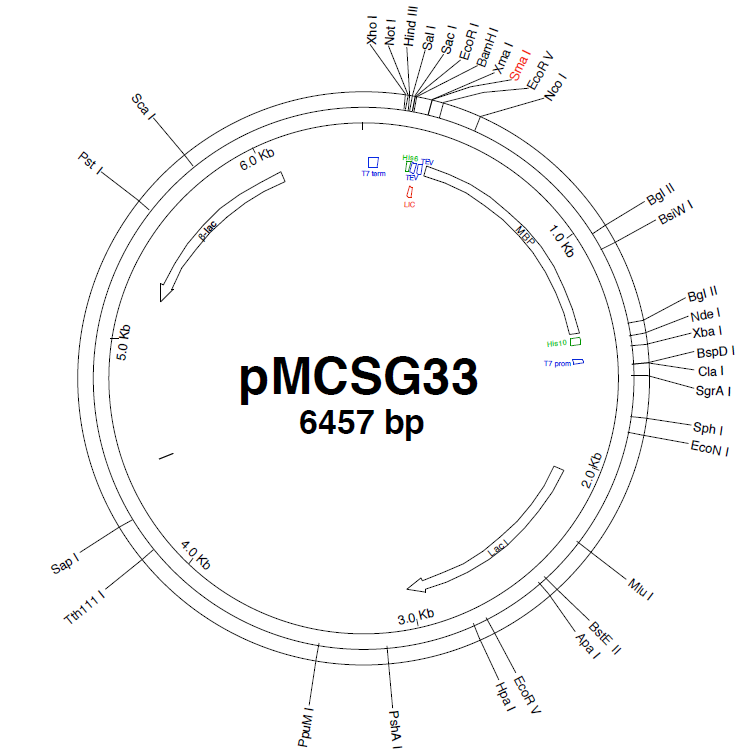 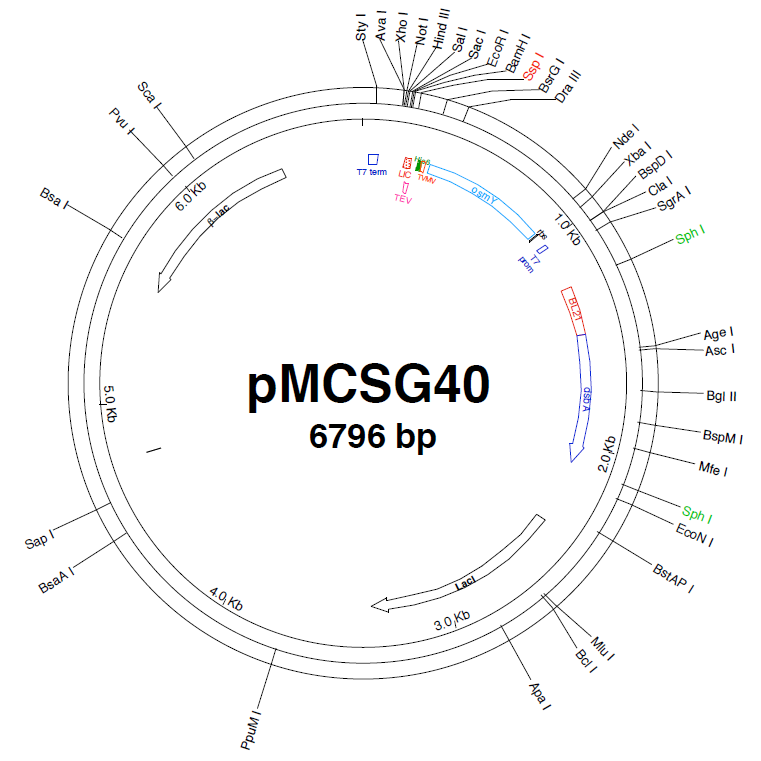 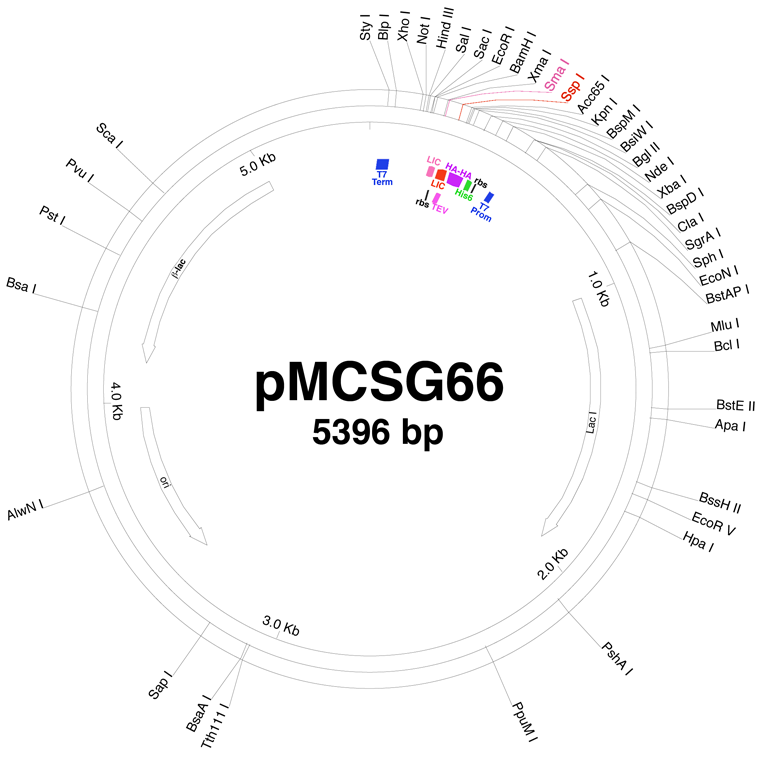 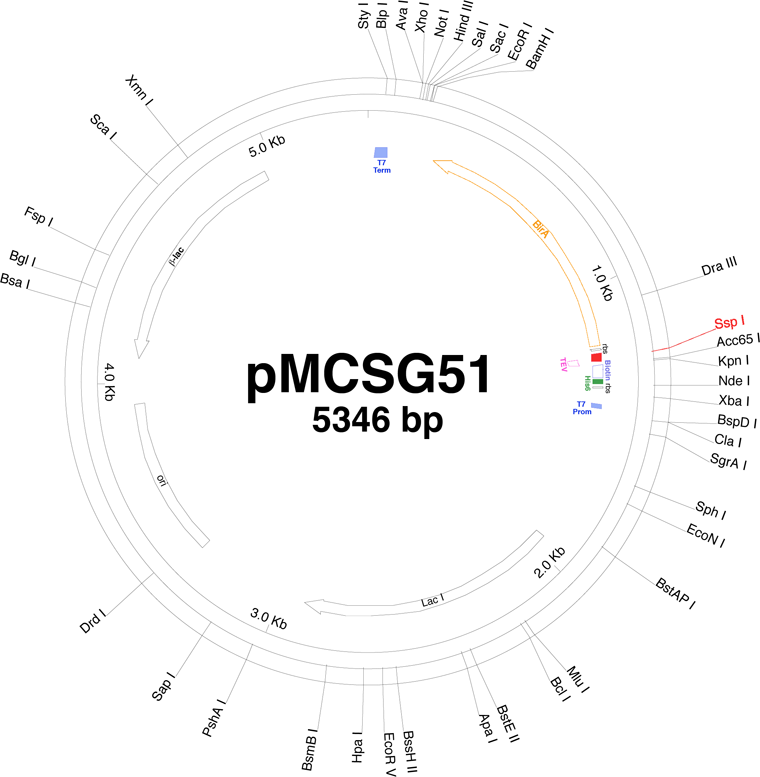 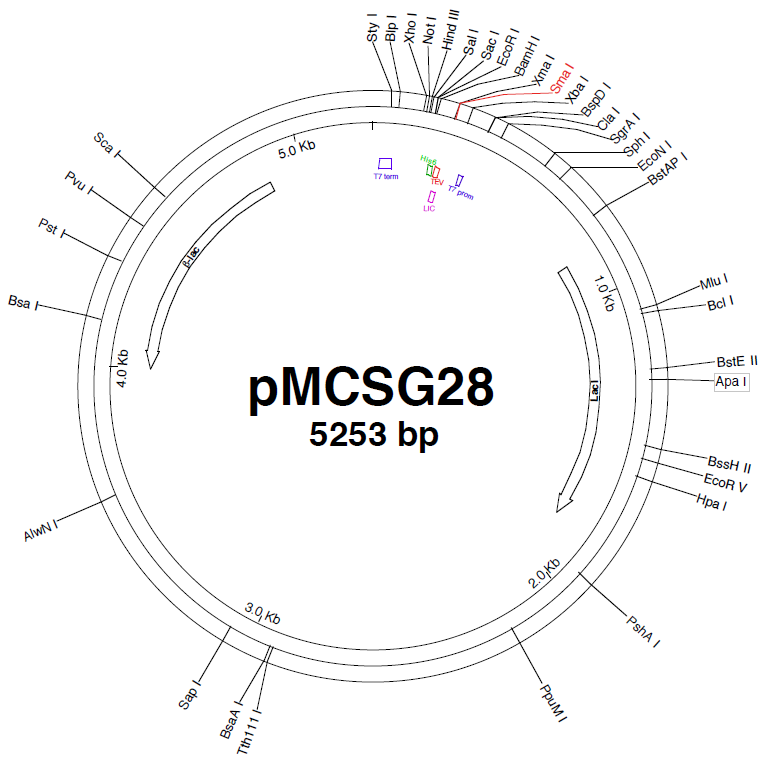 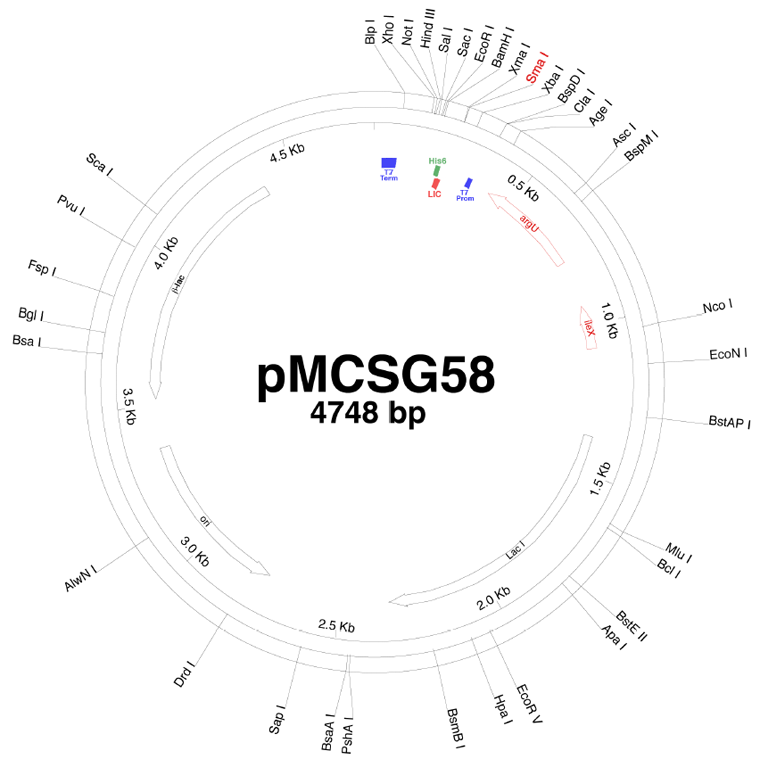 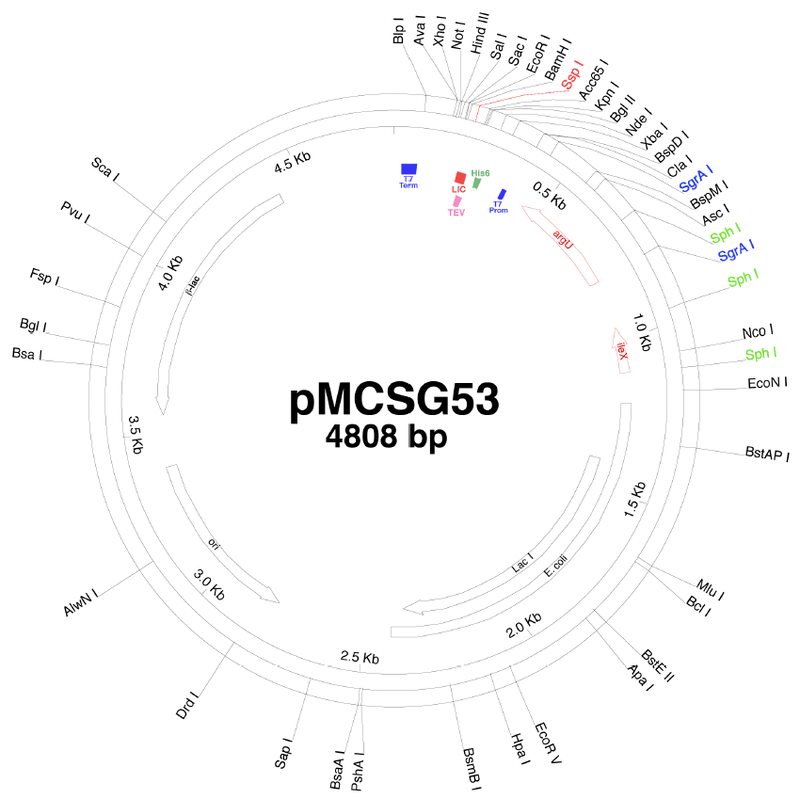 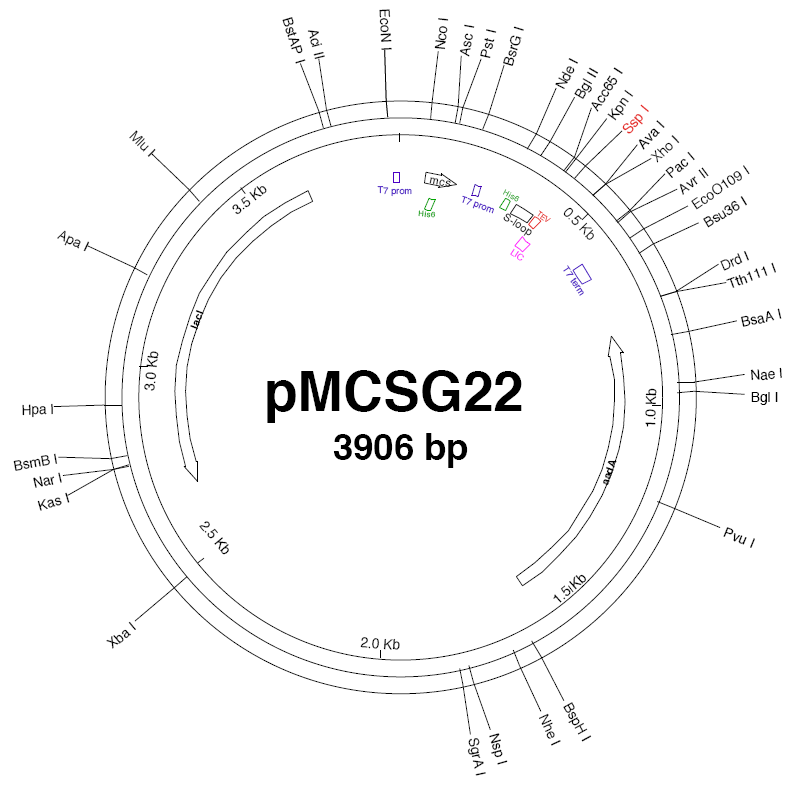 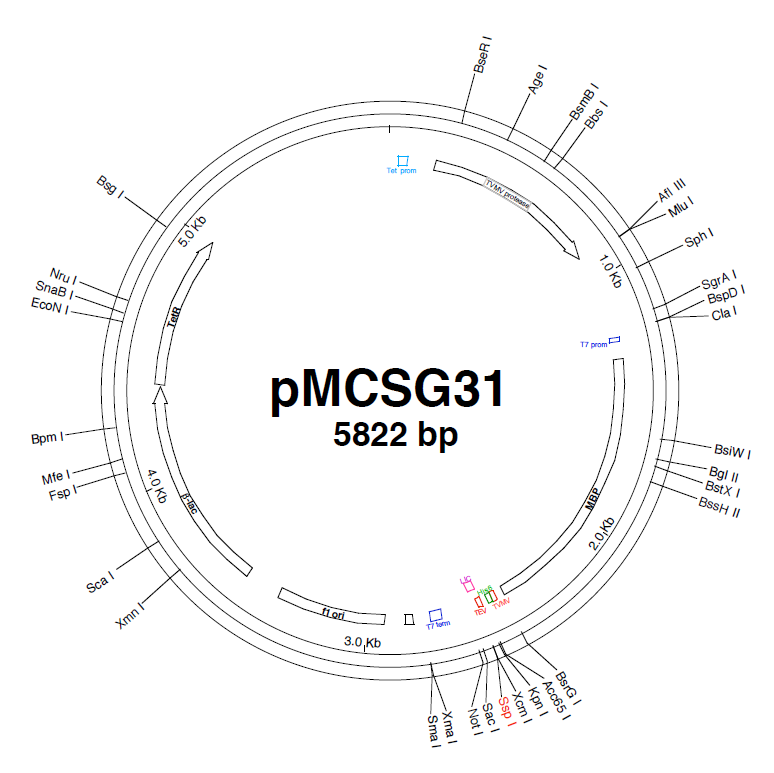 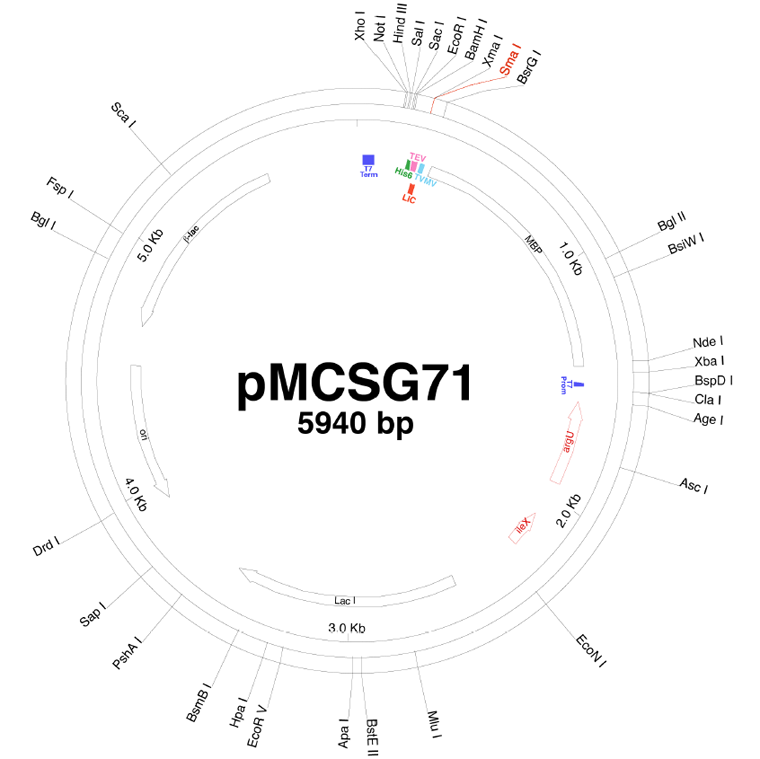 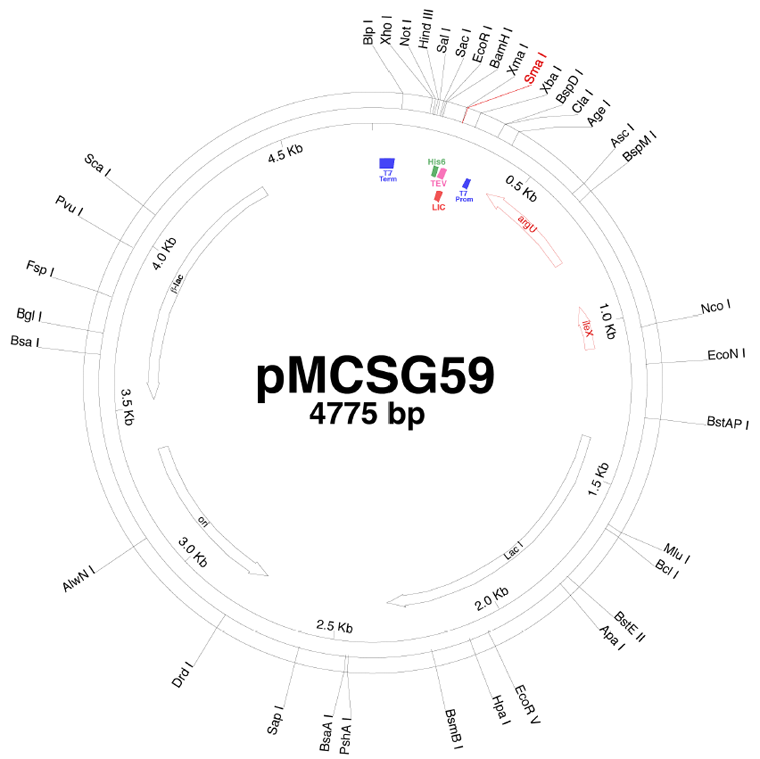 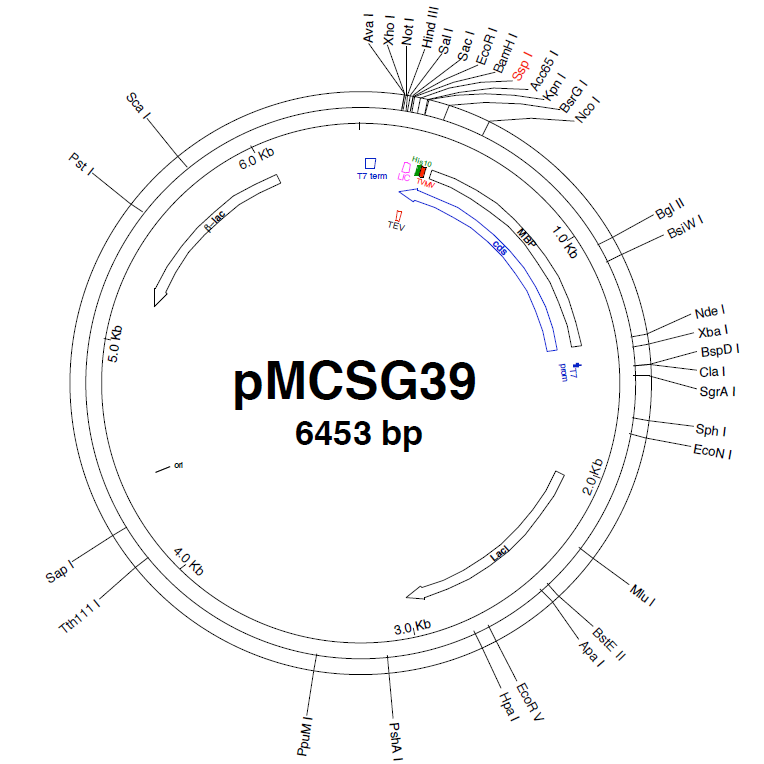 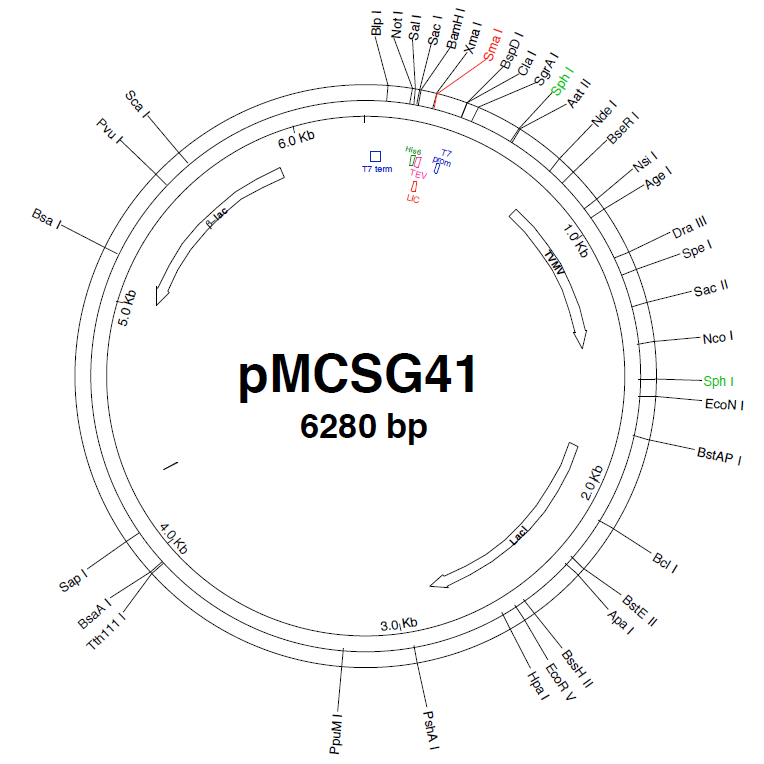 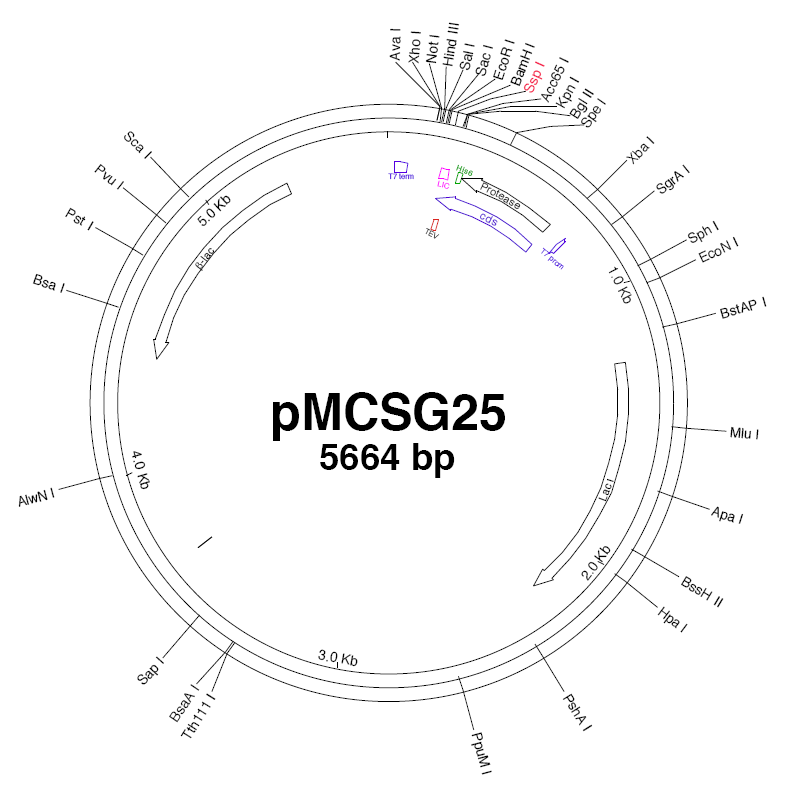 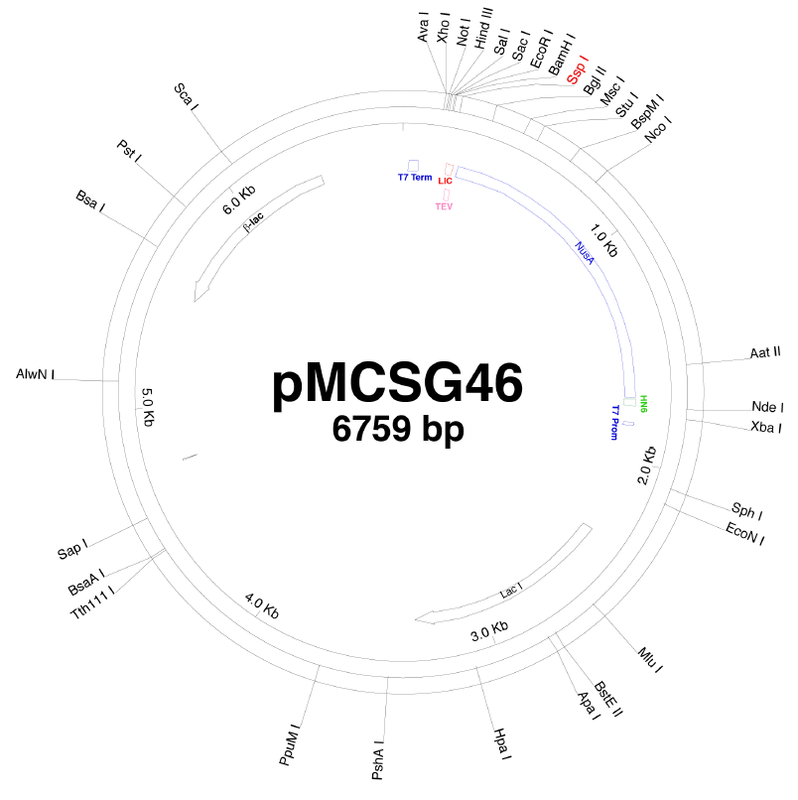 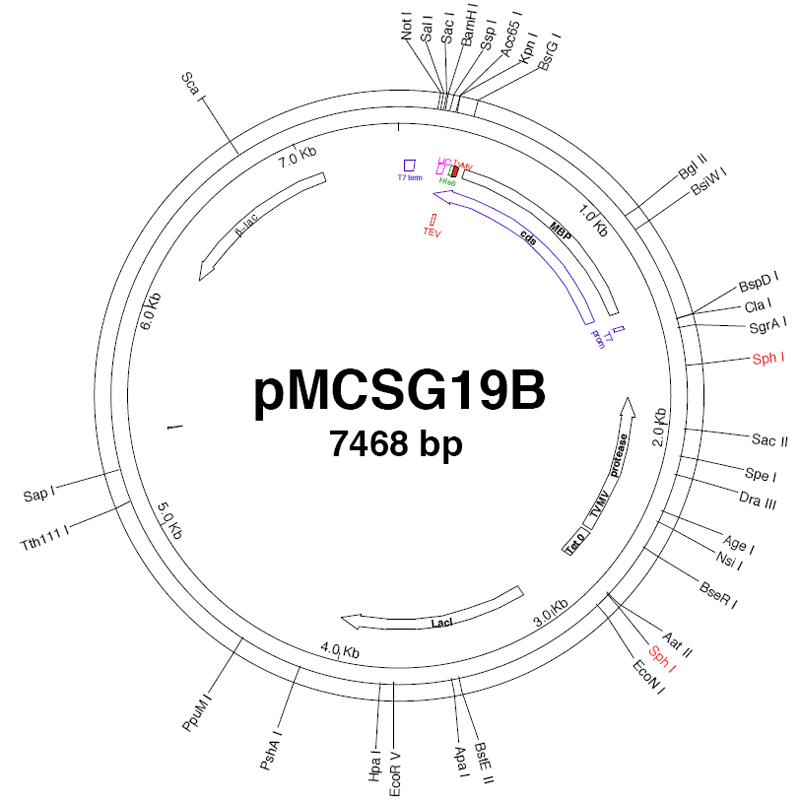 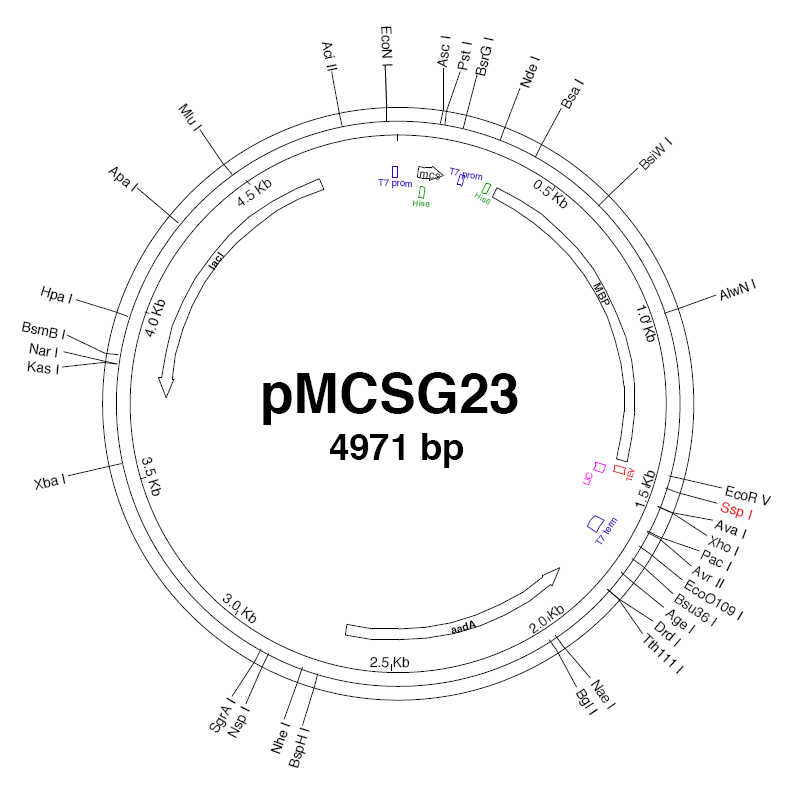 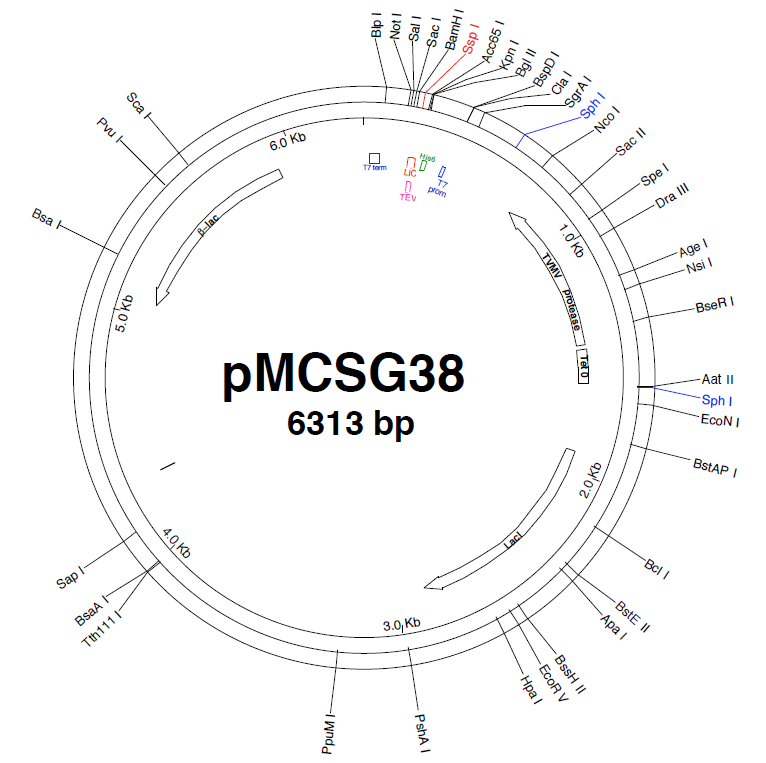 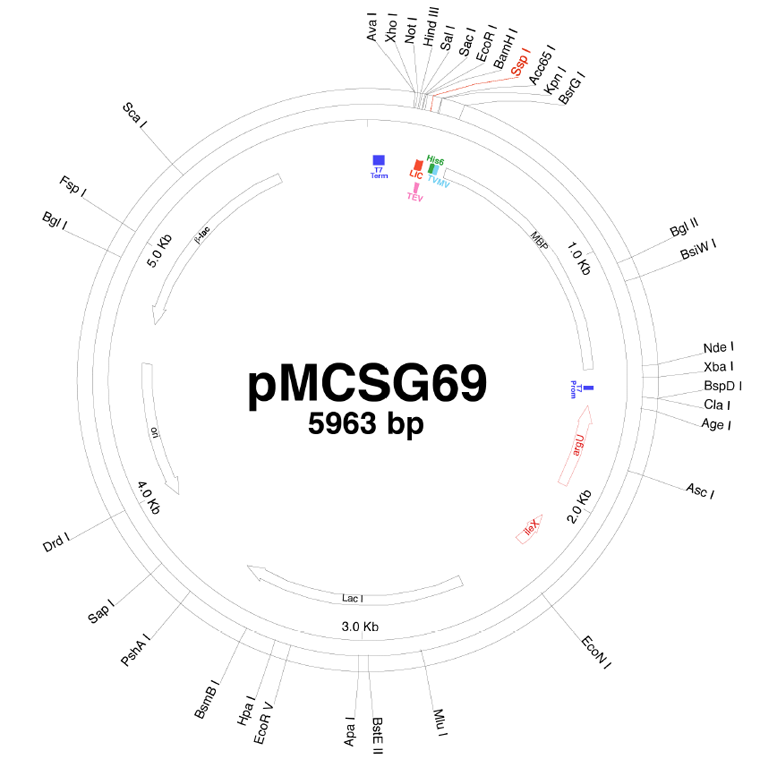 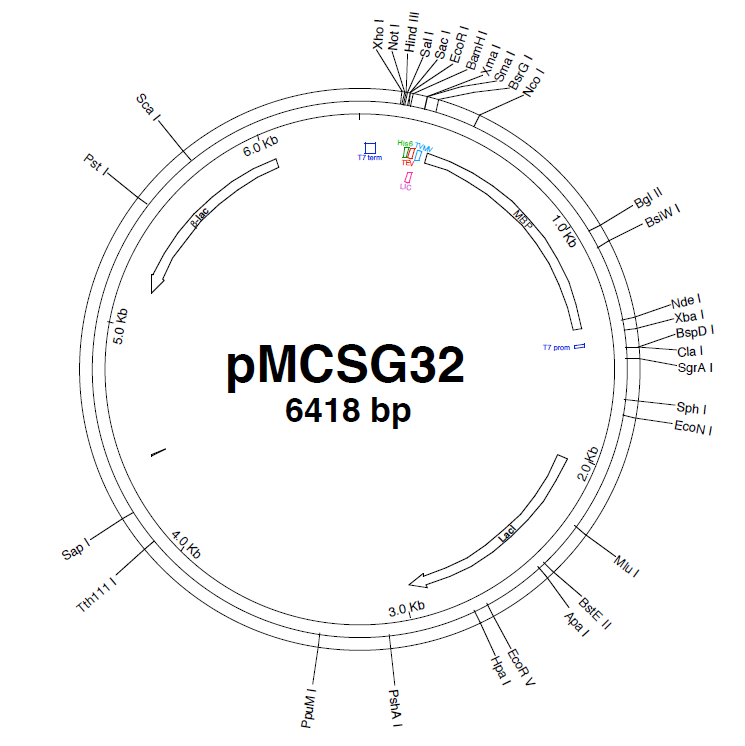 Genome-scale expression of proteins from Bacillus subtilis. 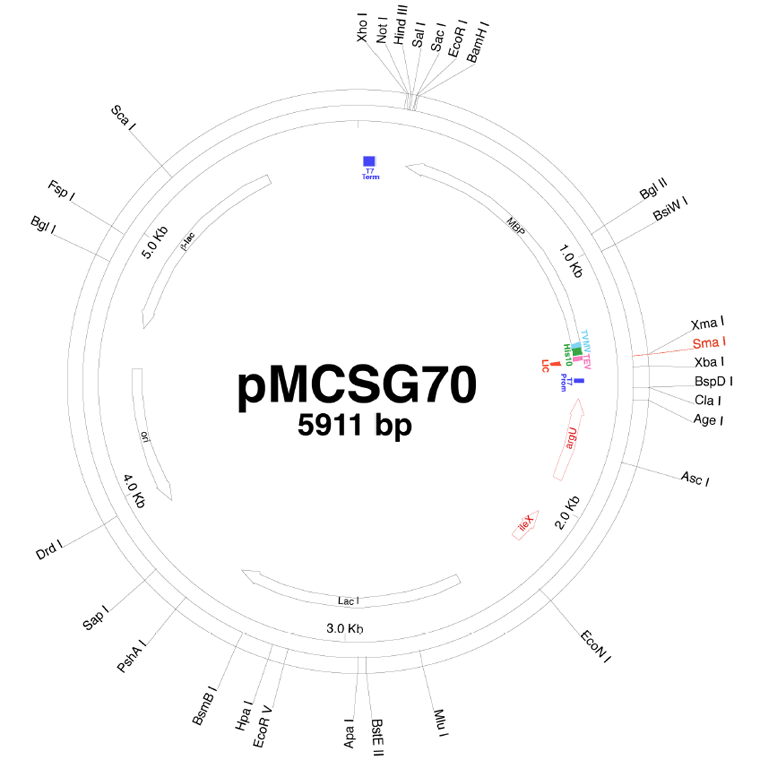 Structure and intracellular targeting of the SARS-coronavirus Orf7a accessory protein. 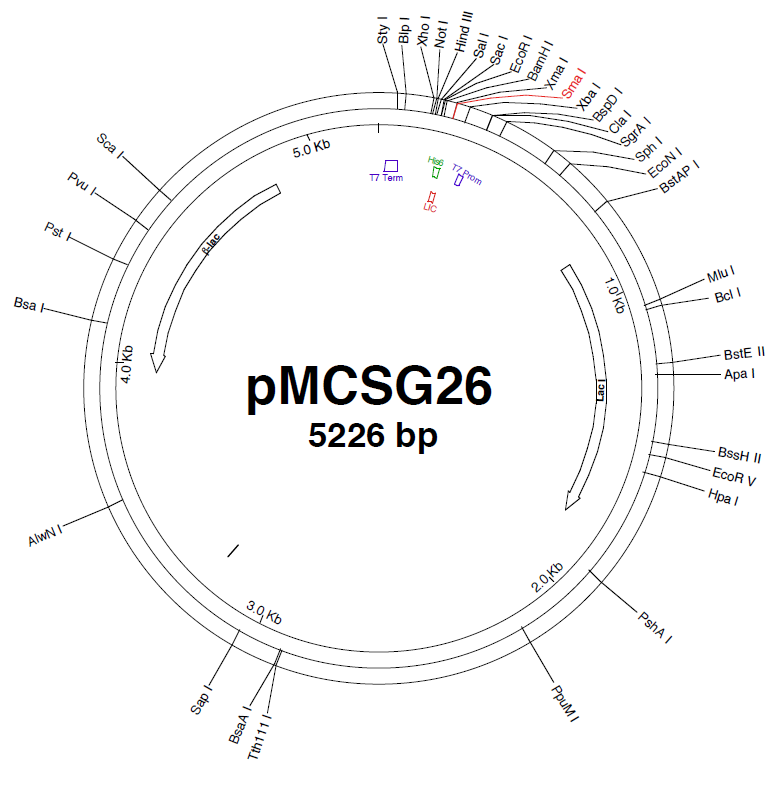 In vivo biotinylated proteins as targets for phage-display selection experiments. 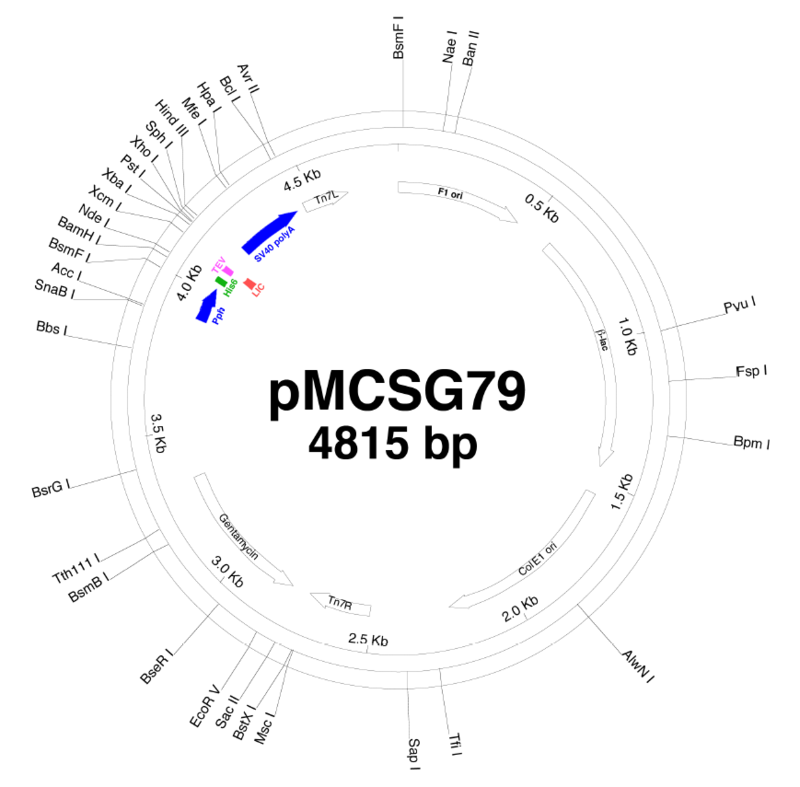 Recognition of a virus-encoded ligand by a natural killer cell activation receptor. 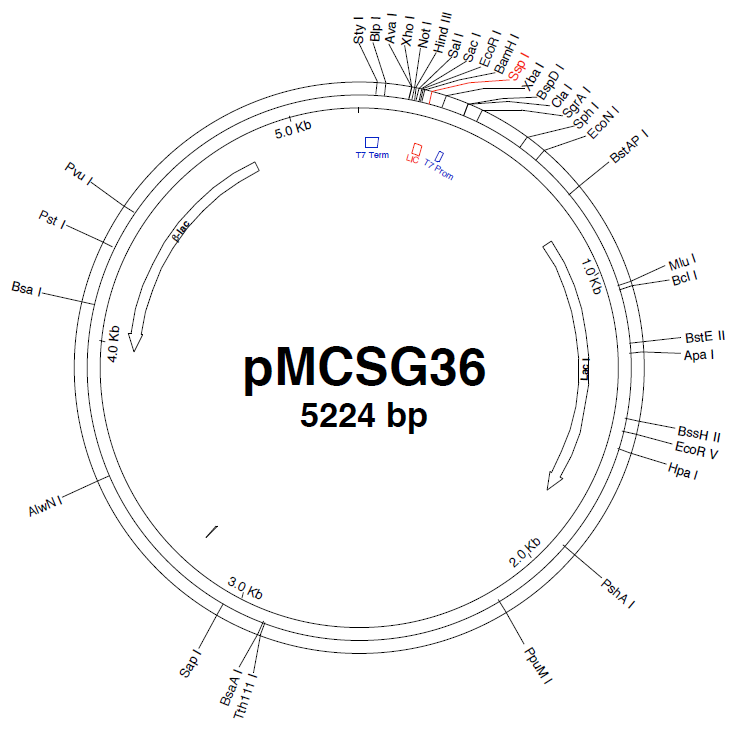 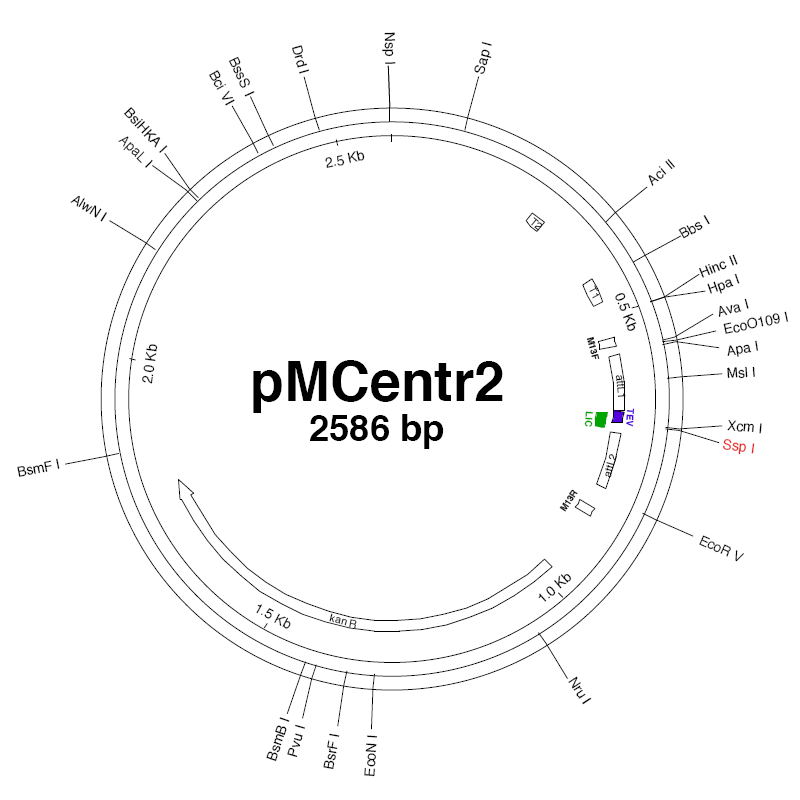 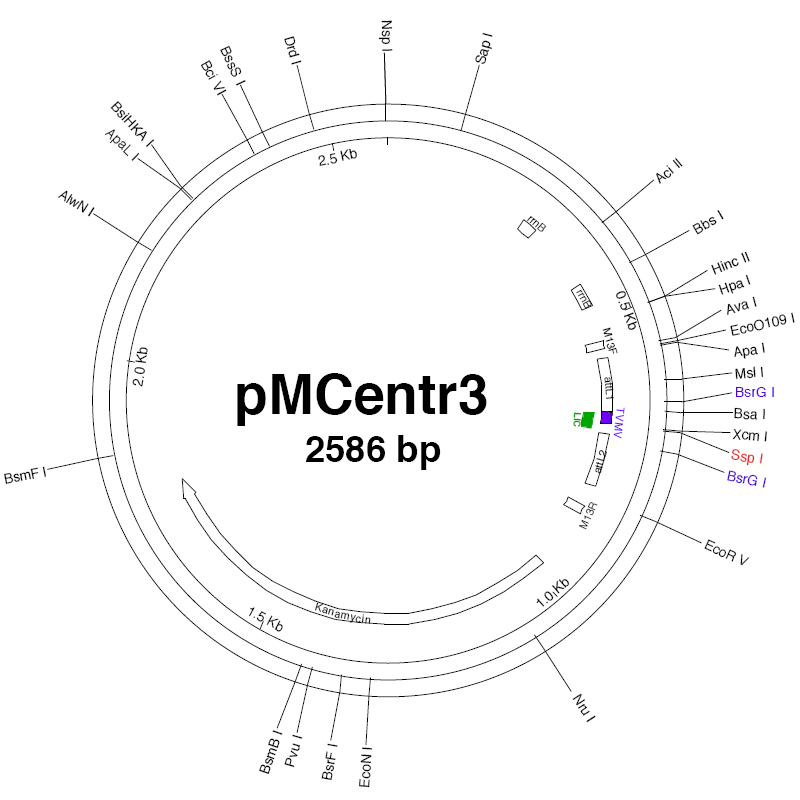 Express primer tool for high-throughput gene cloning and expression. 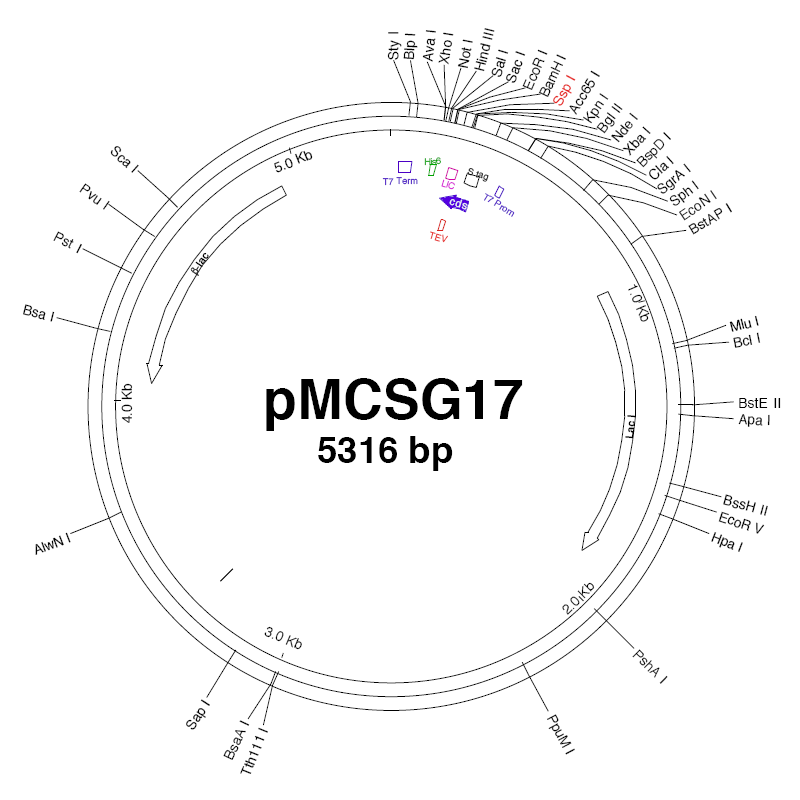 For a more exhaustive list of publications see the MCSG publications website.